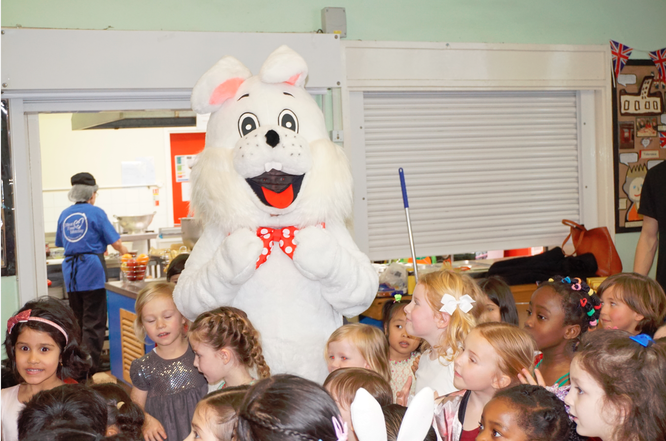 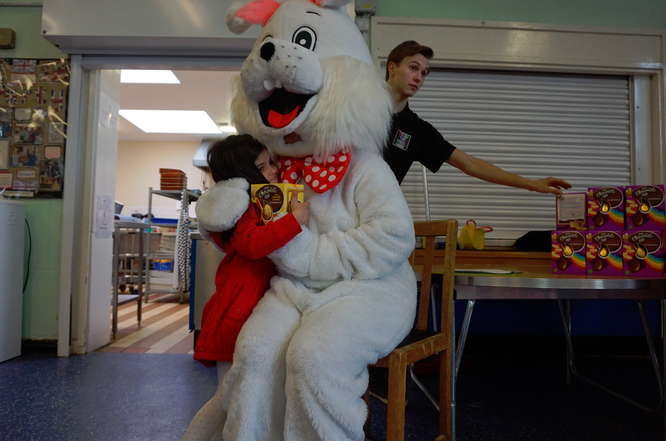 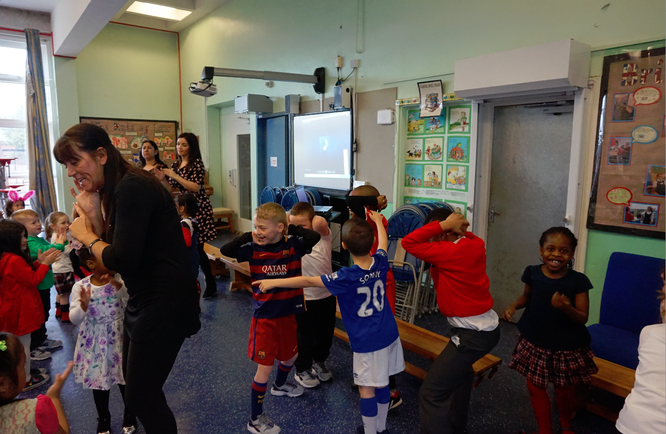 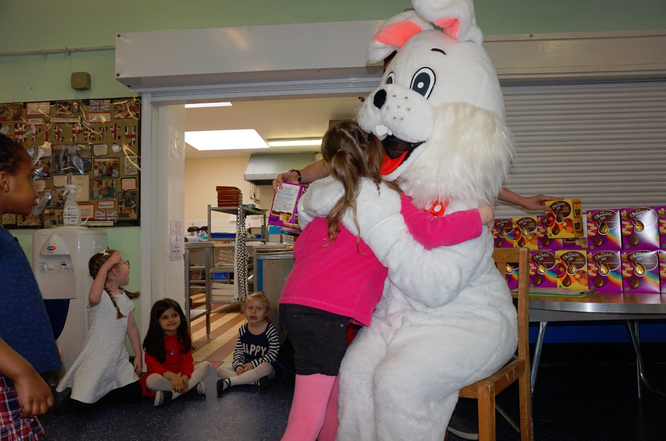 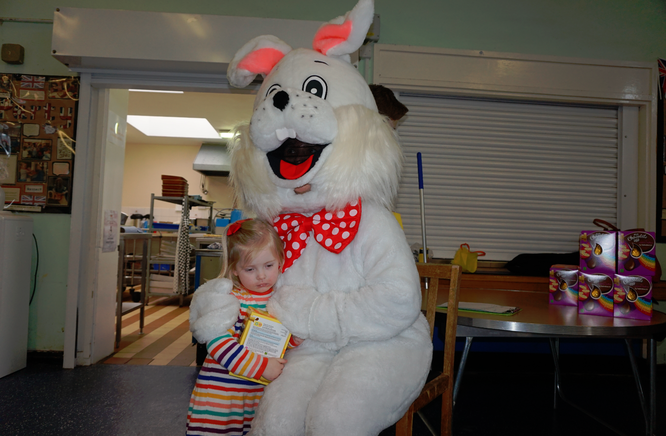 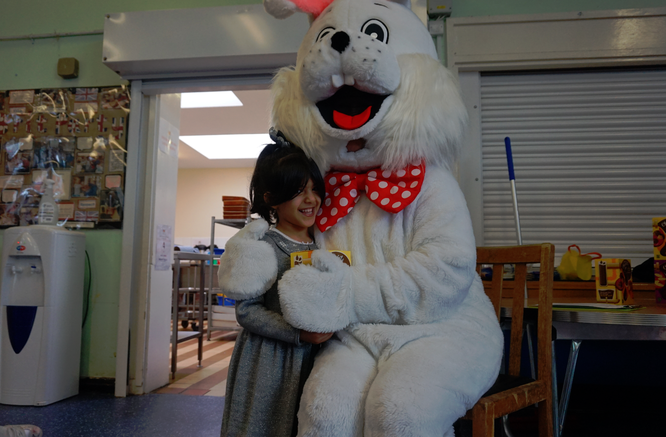 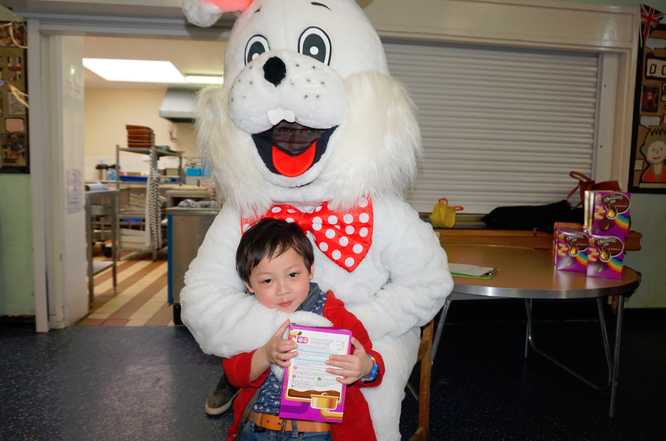 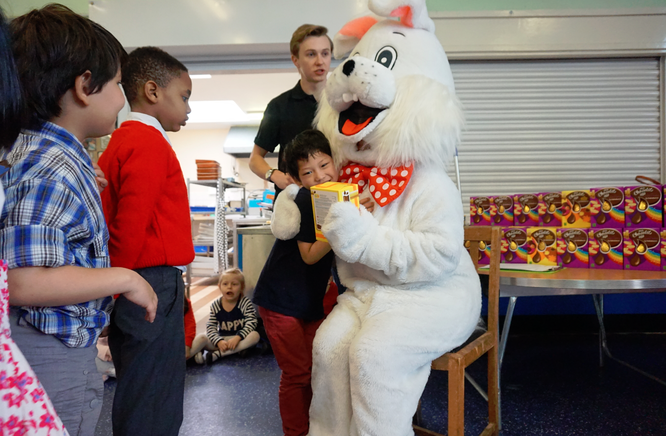 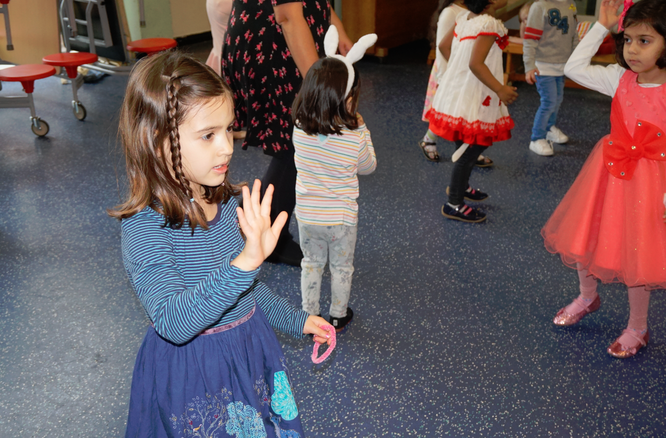 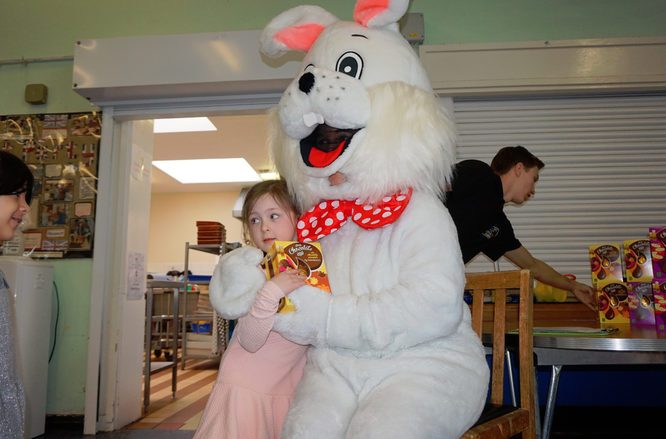 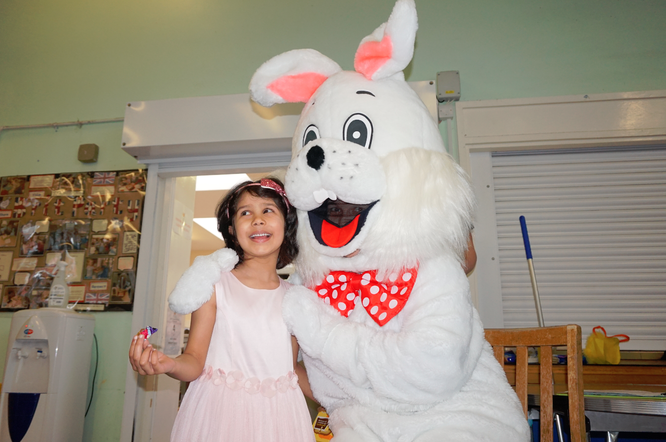 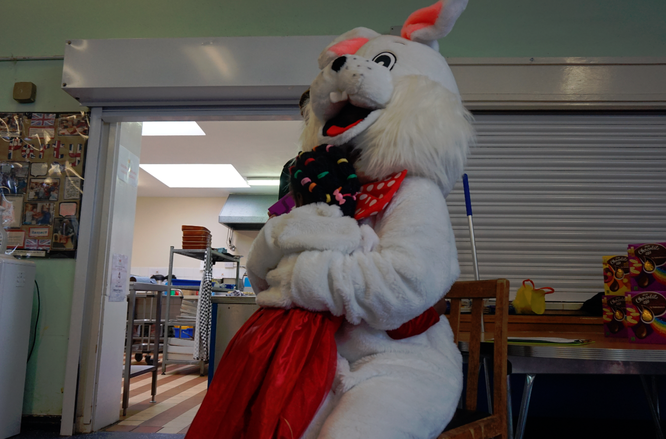 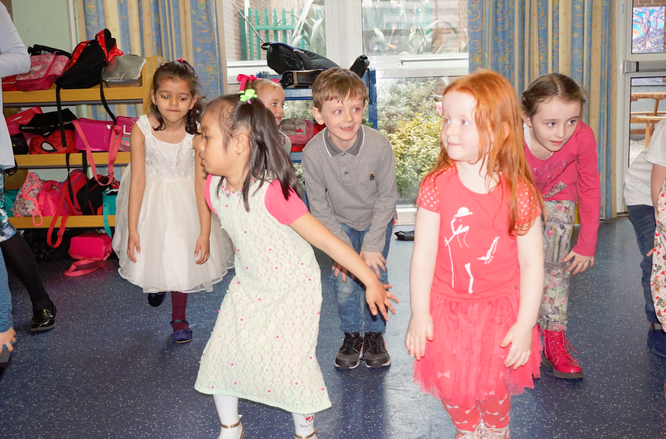 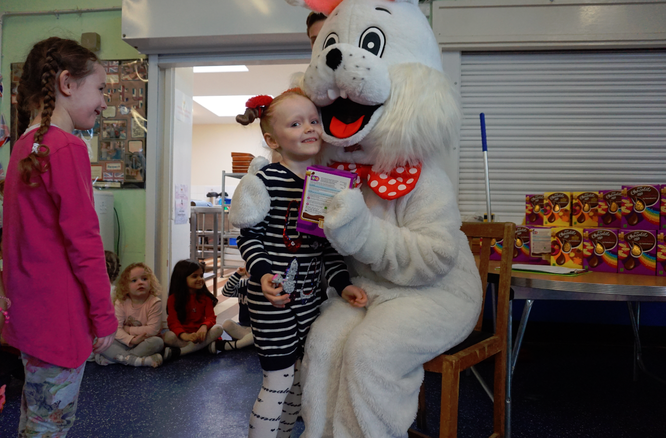 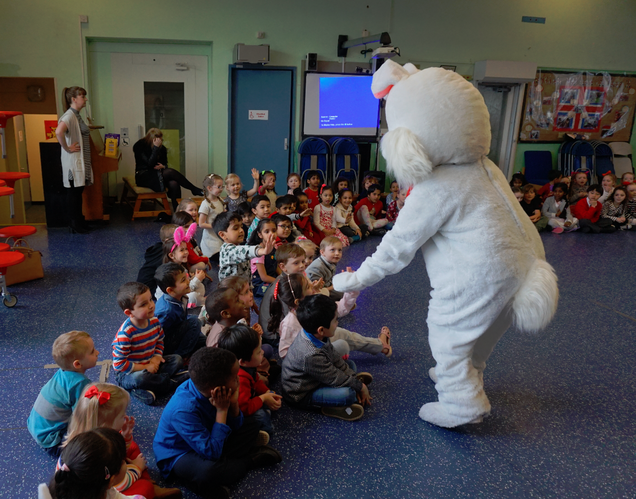 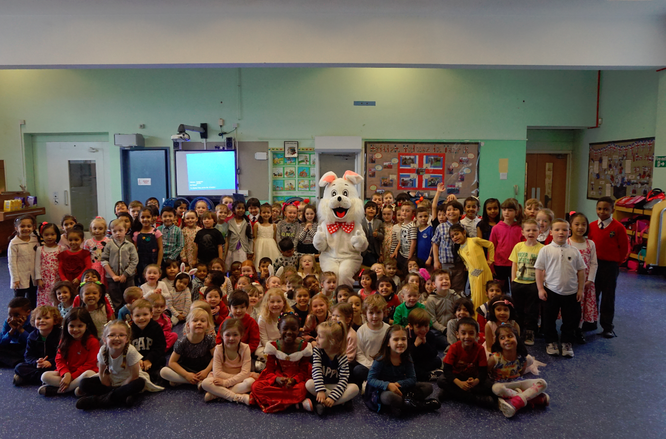 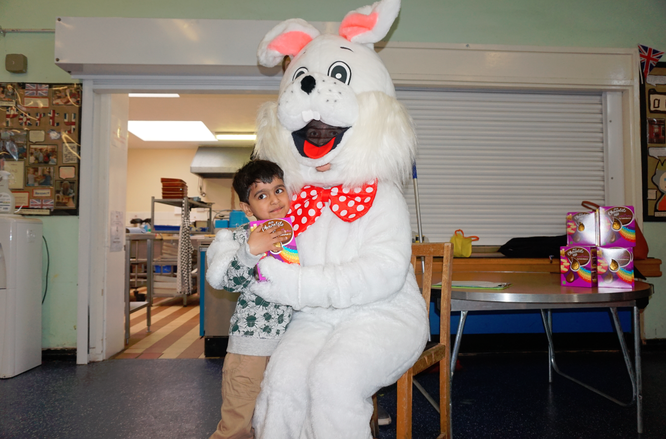 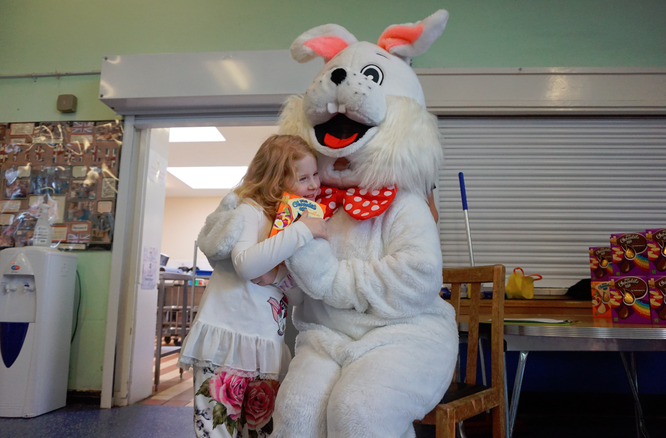 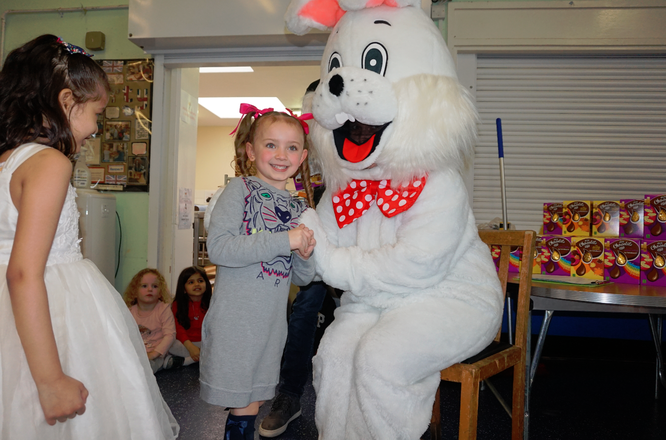 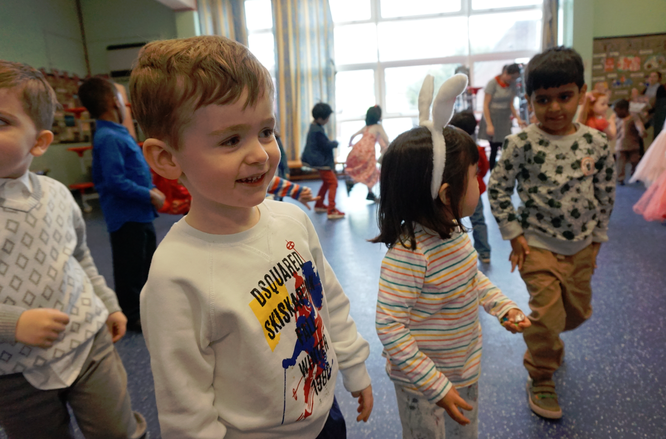 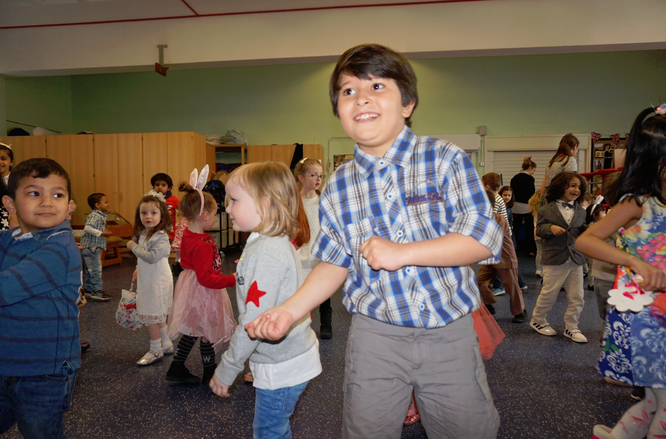 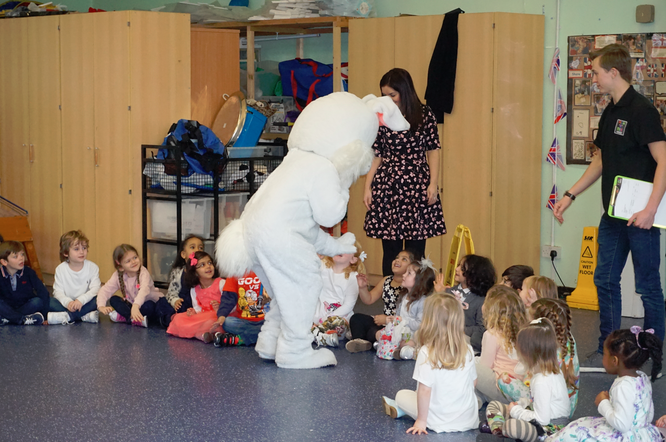 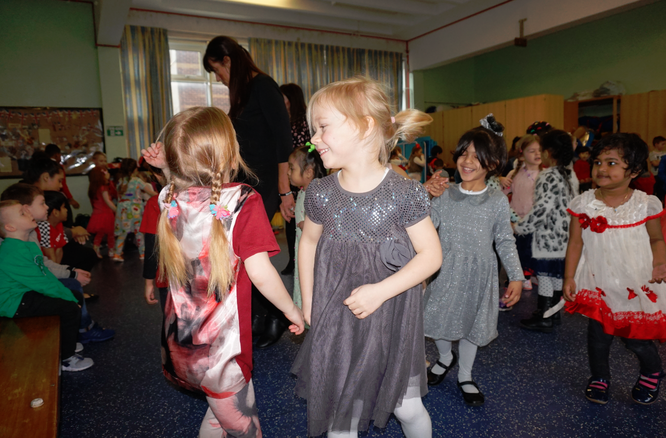 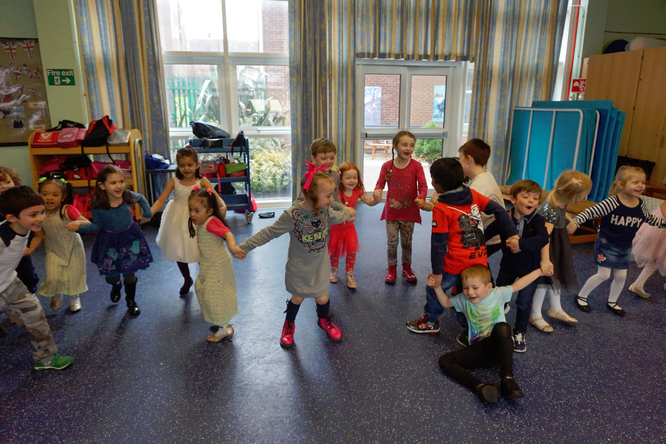 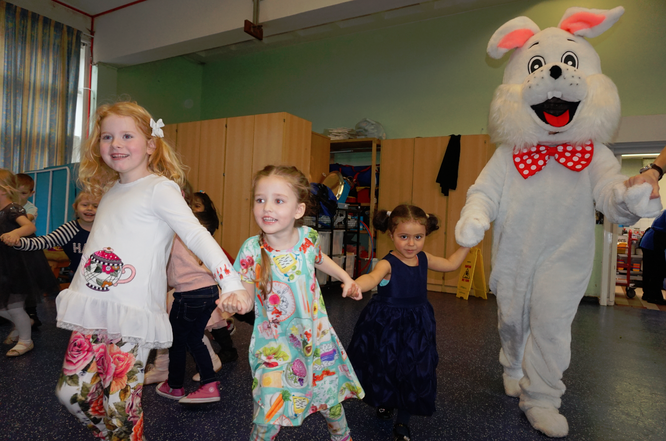 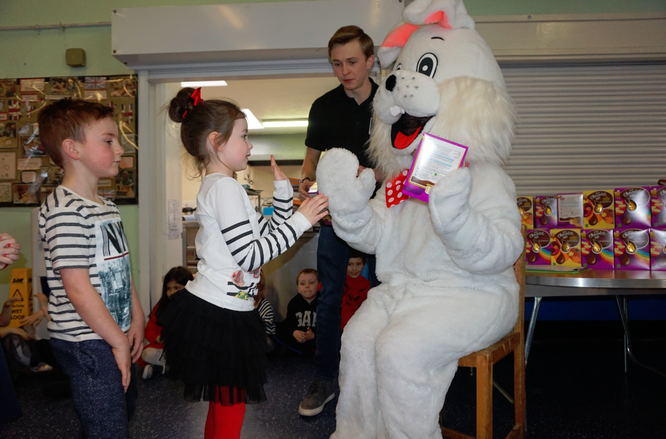 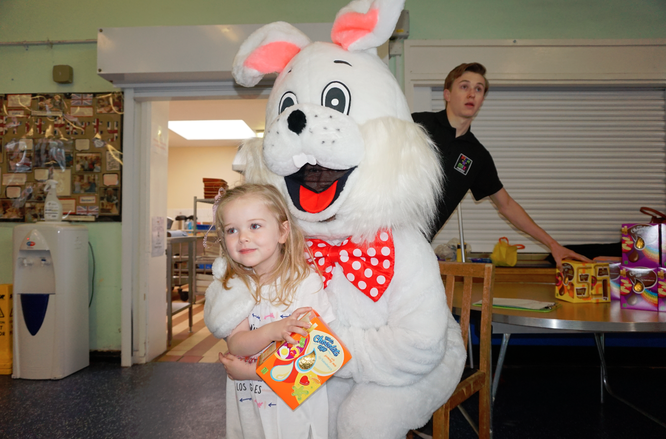 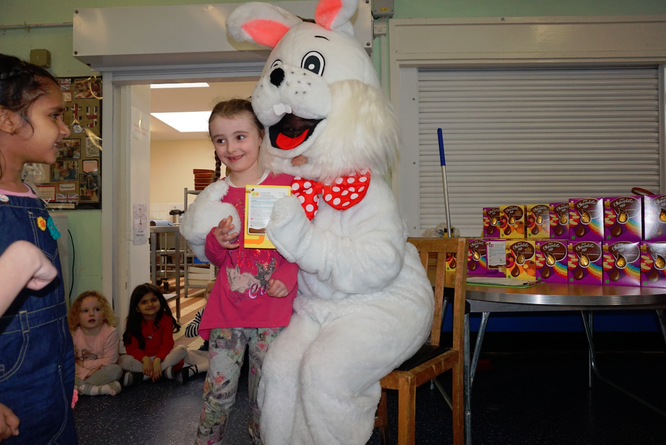 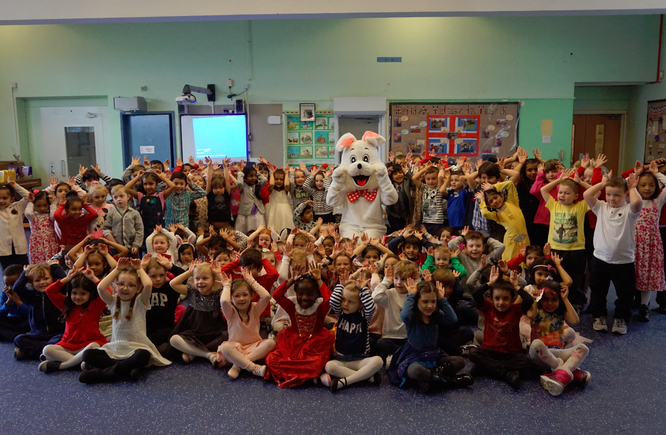 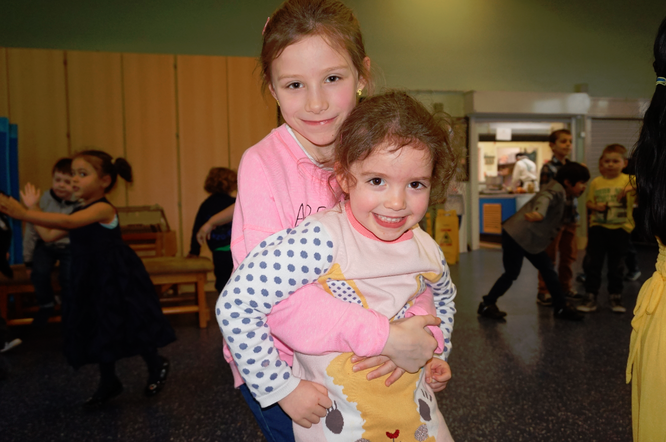 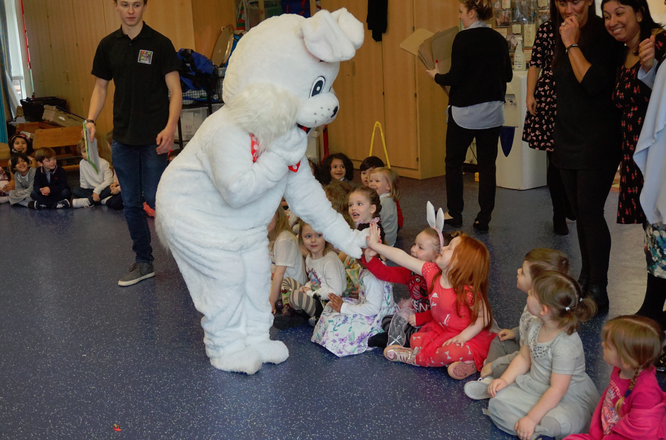 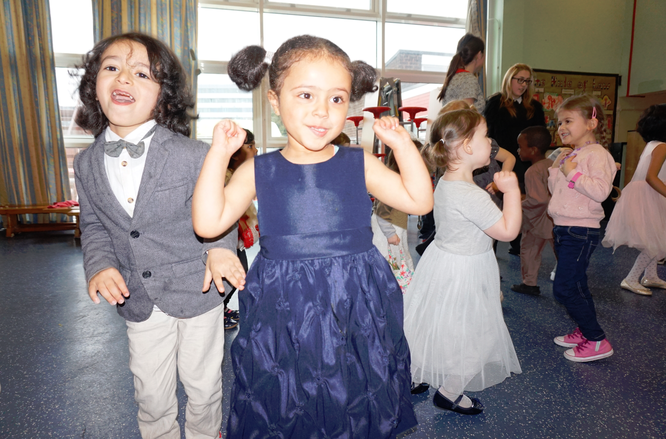 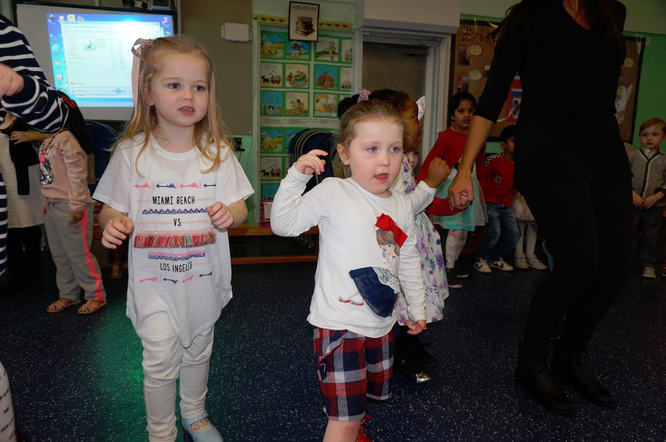 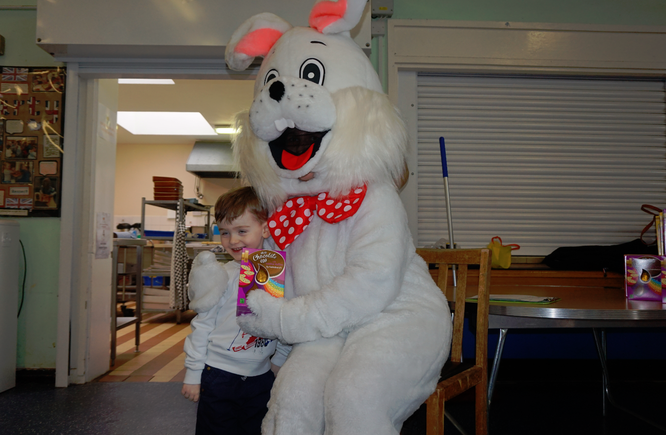 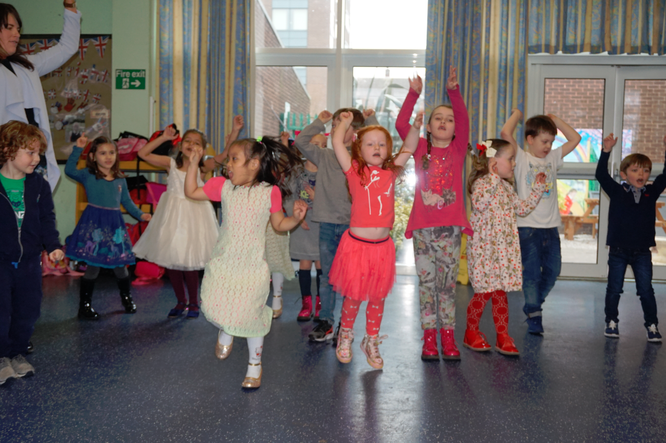 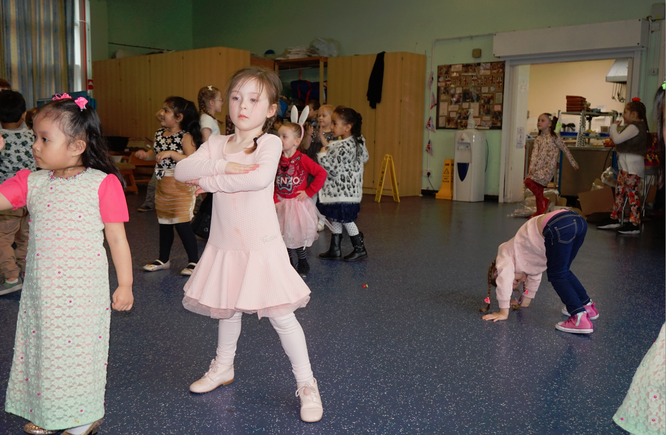 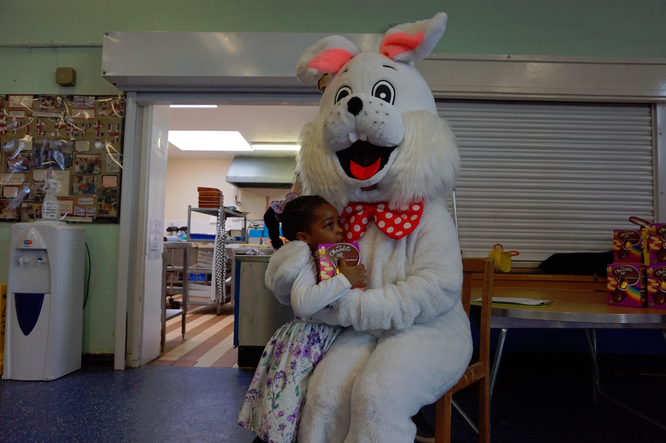 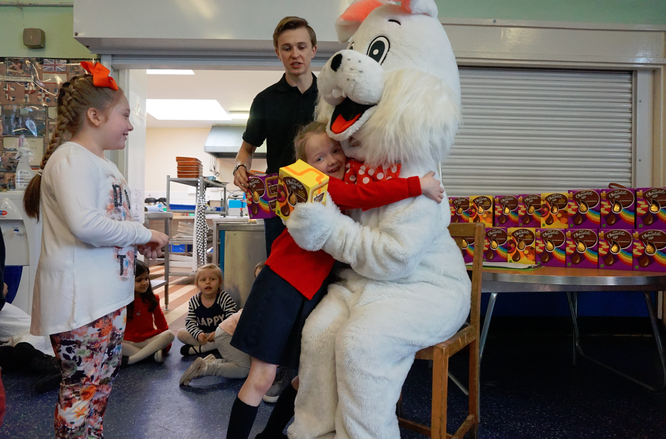 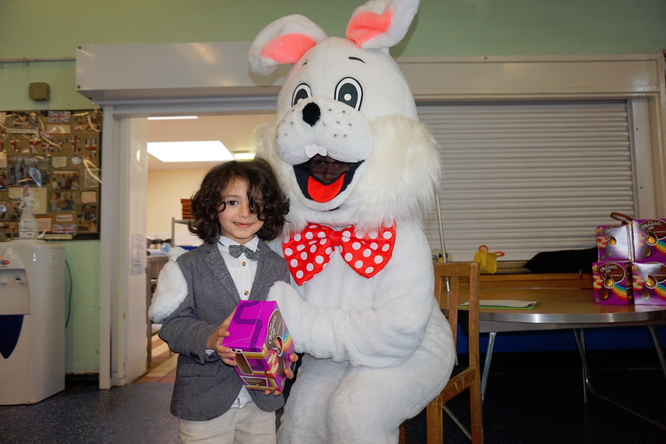 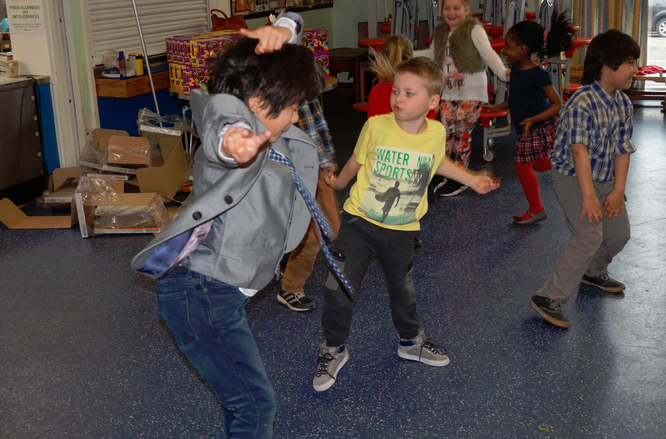 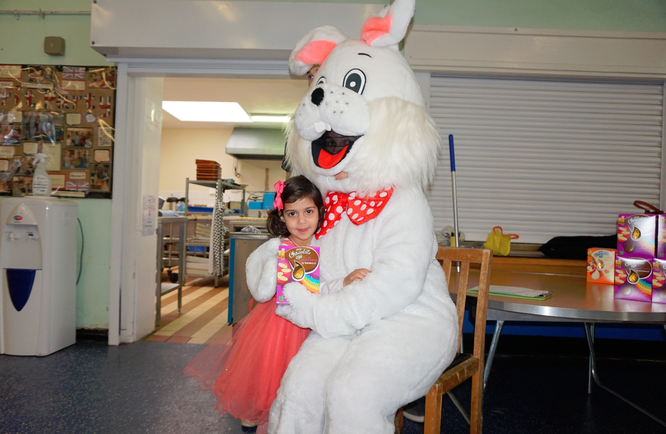 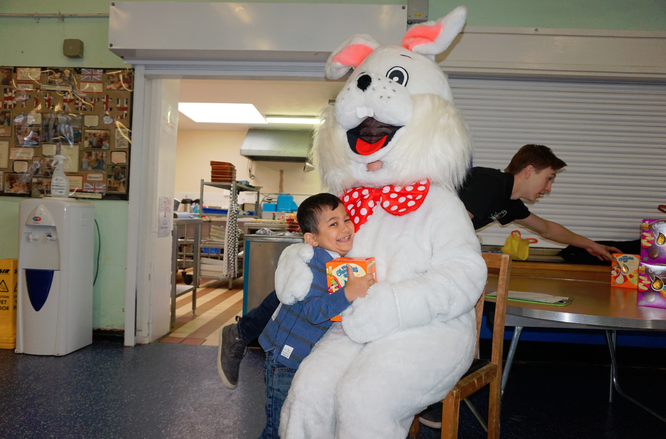 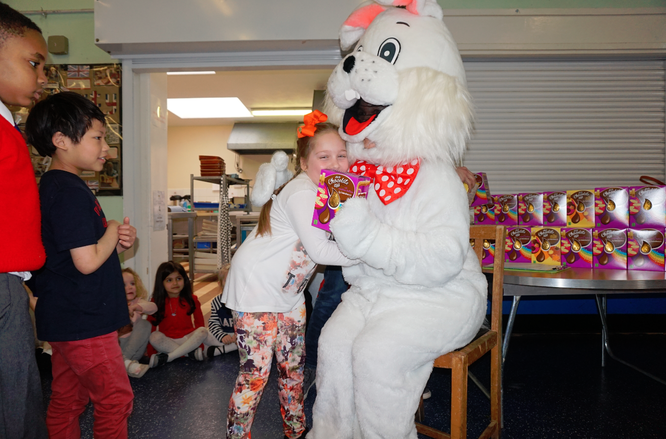 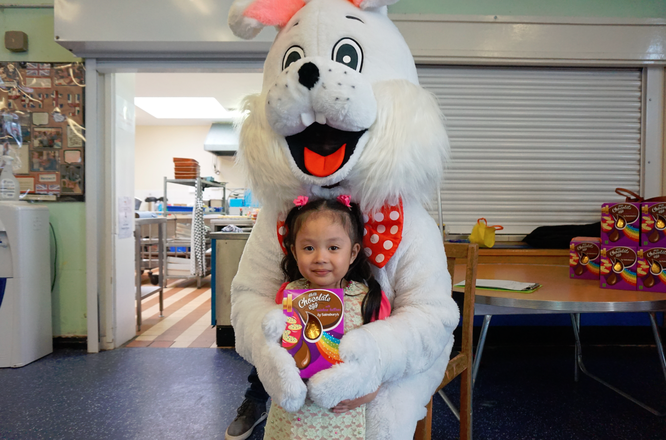 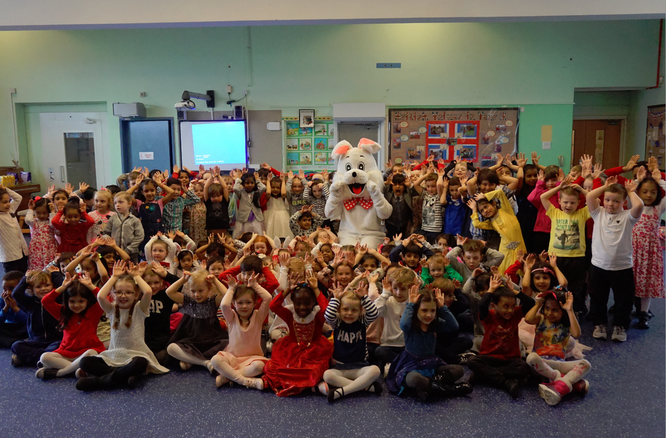 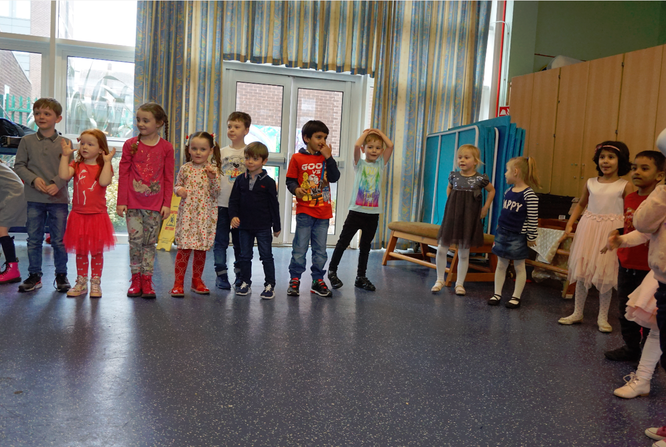 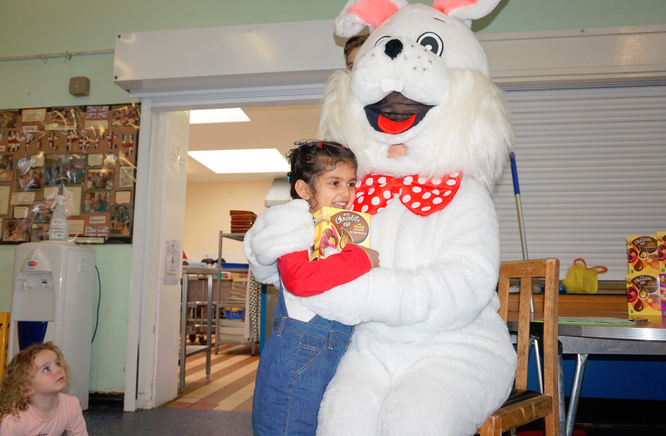 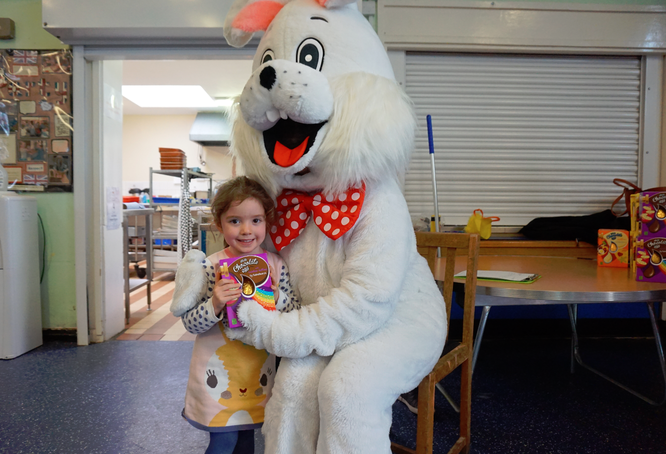 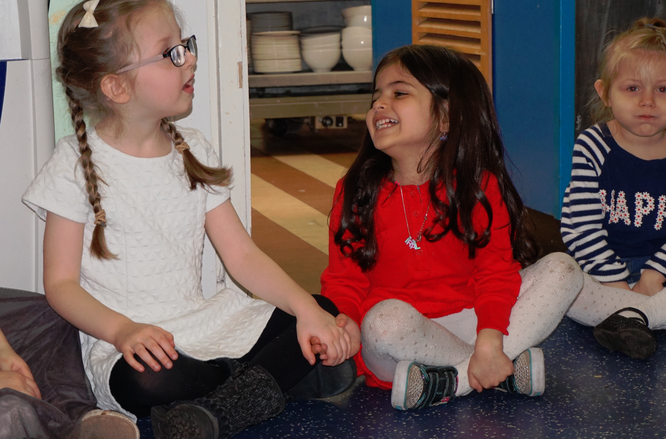 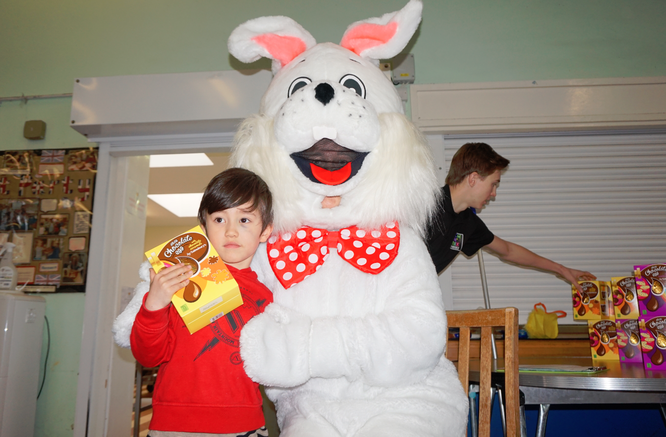 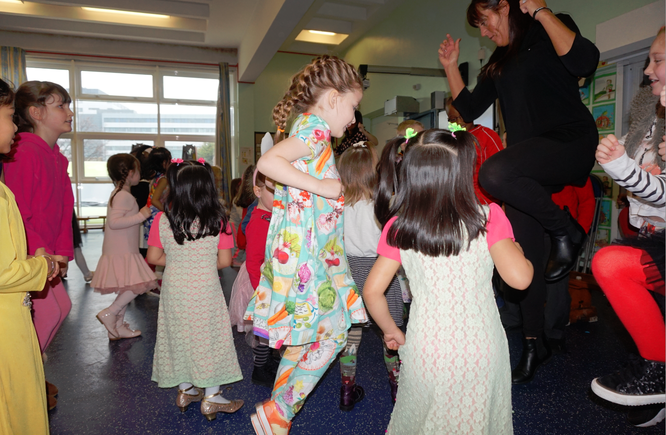 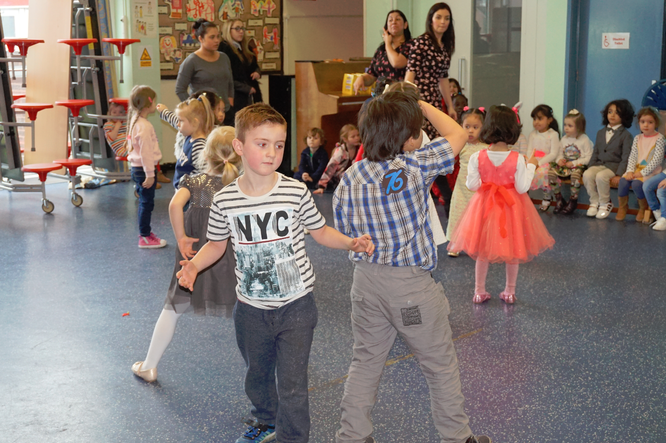 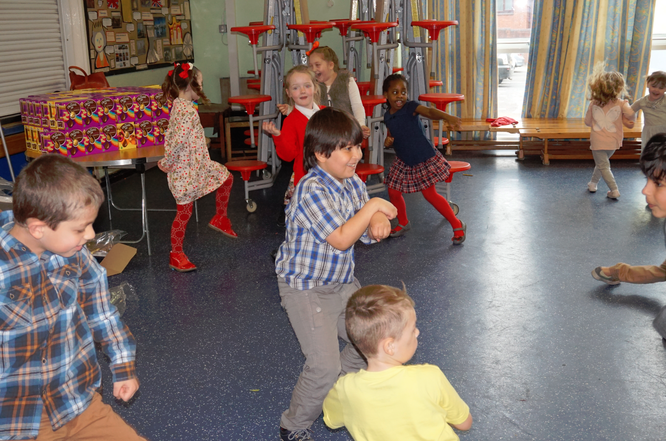 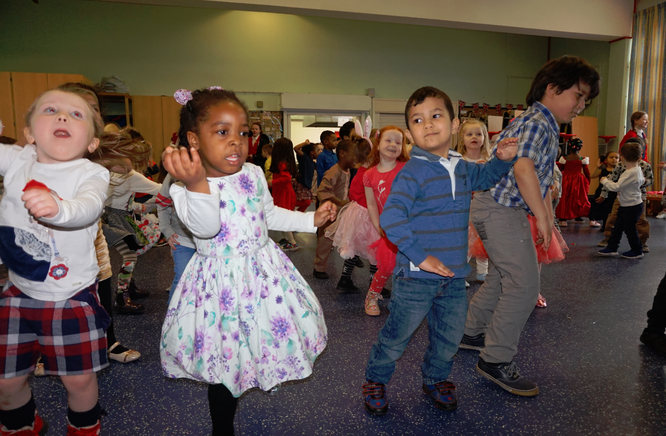 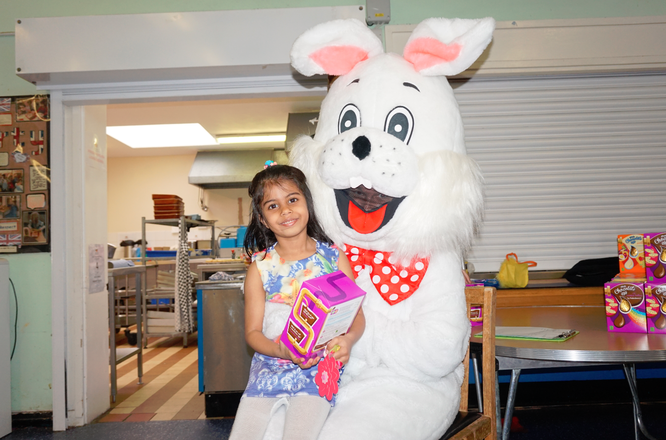 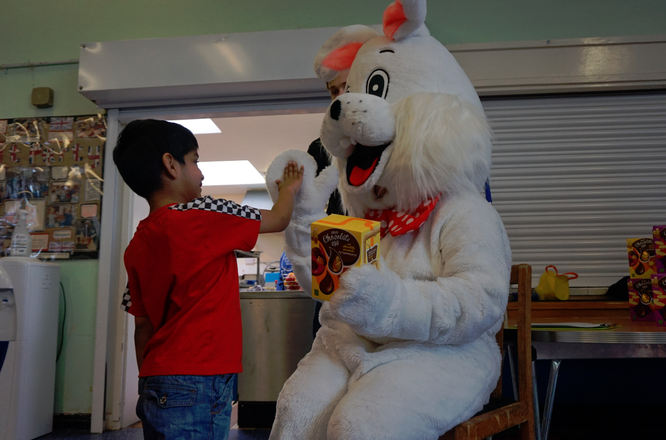 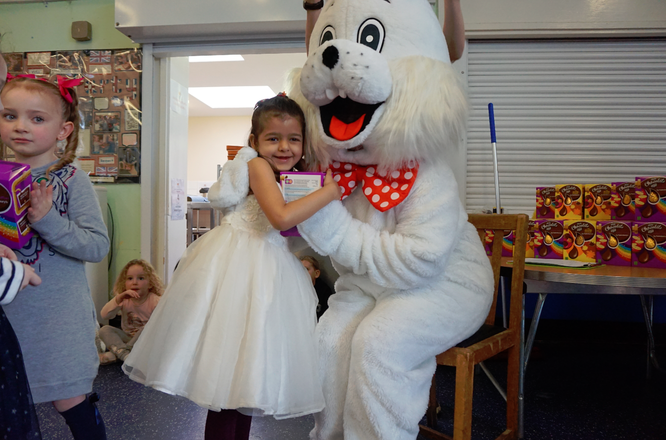 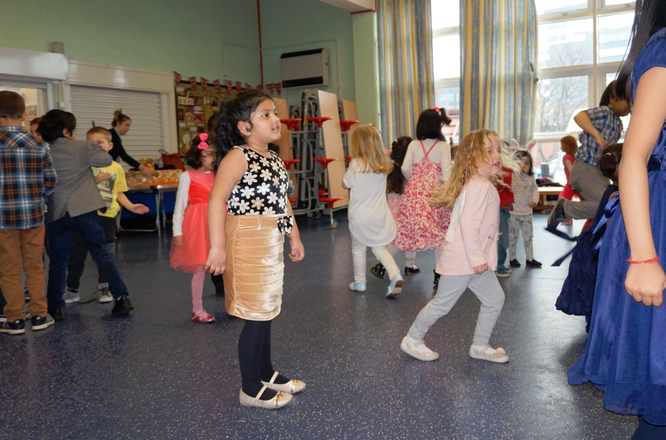 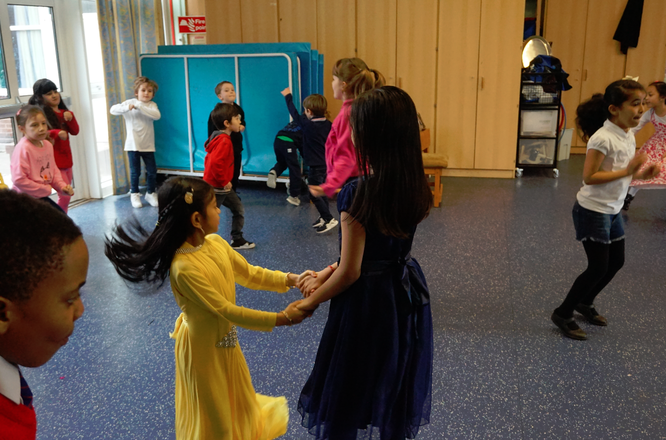 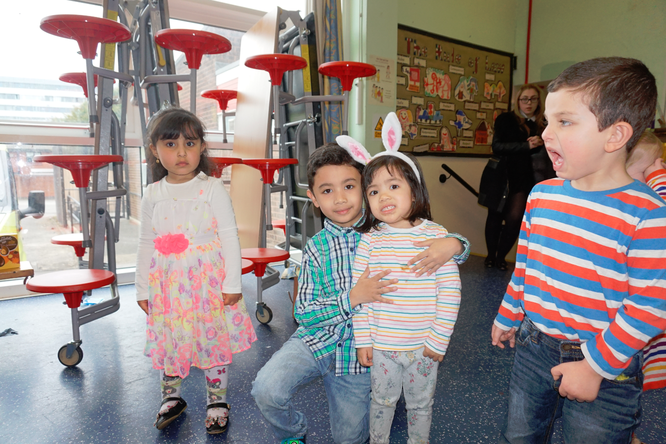 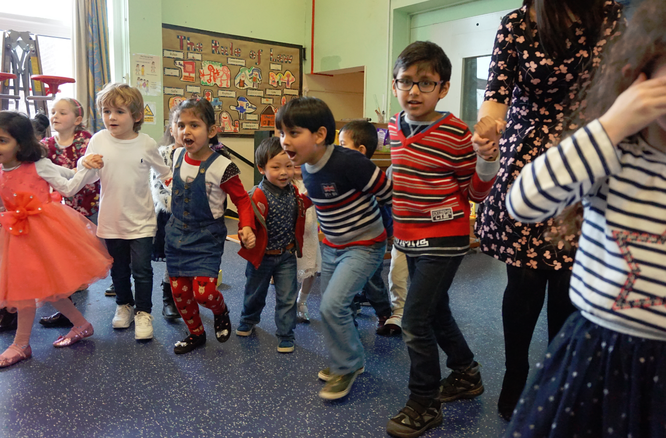 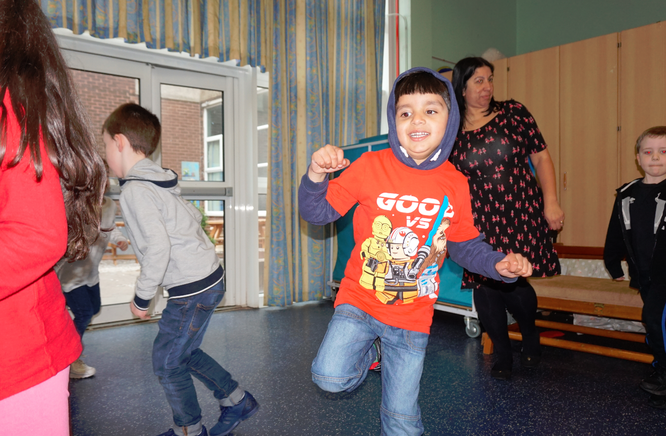 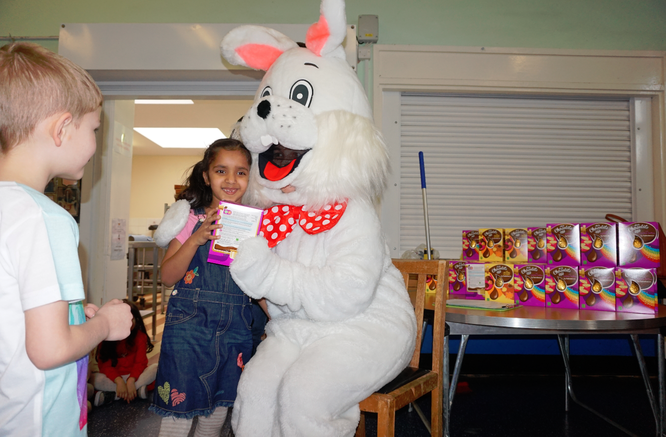 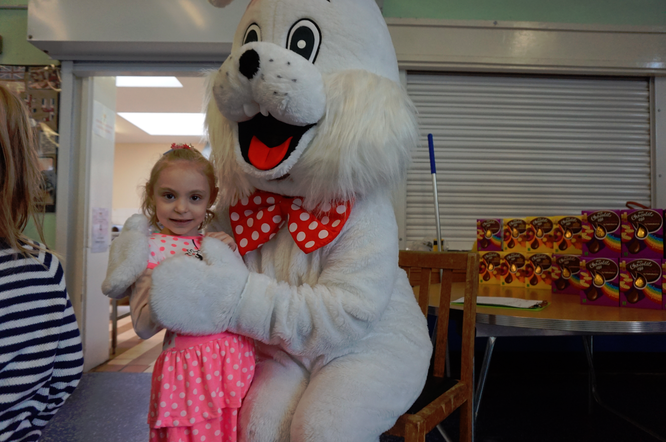 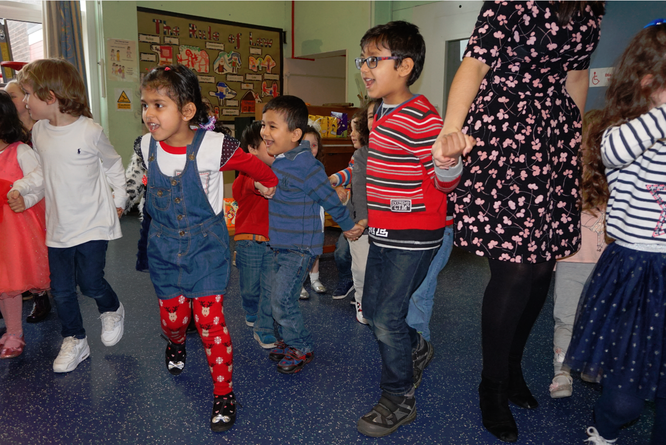 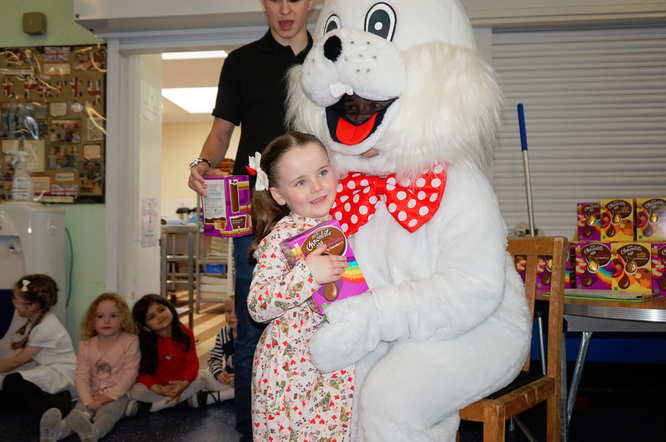 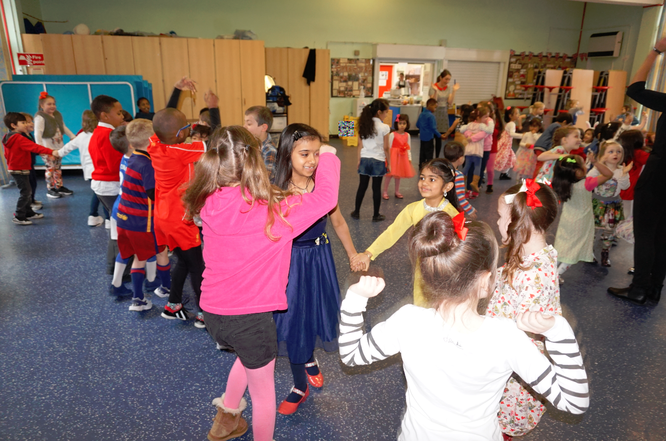 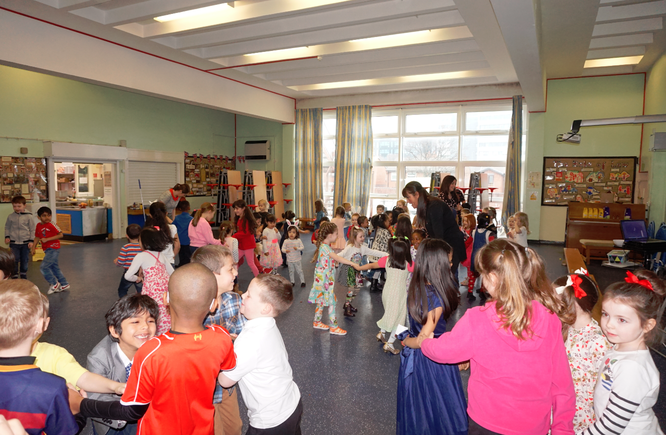 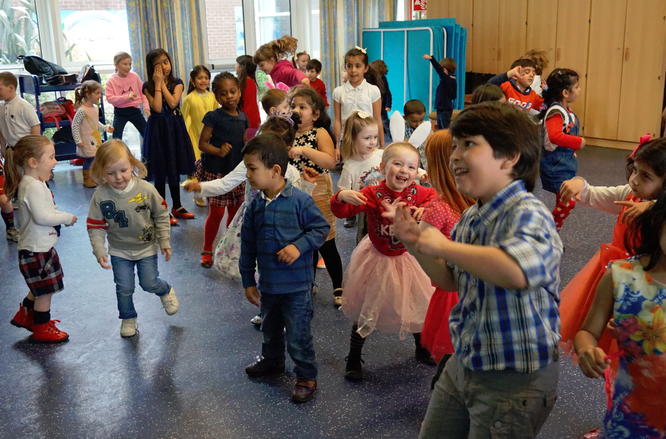 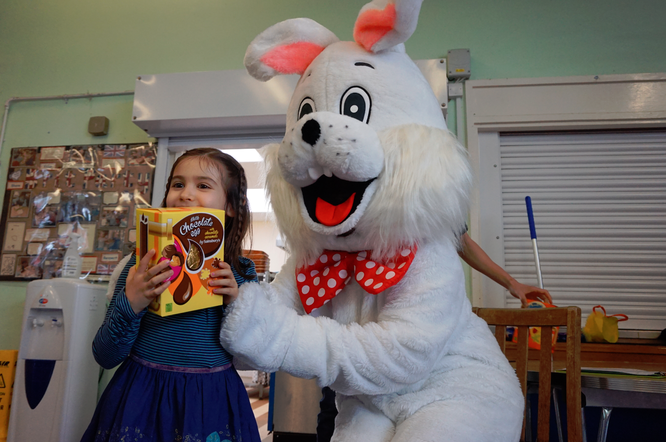 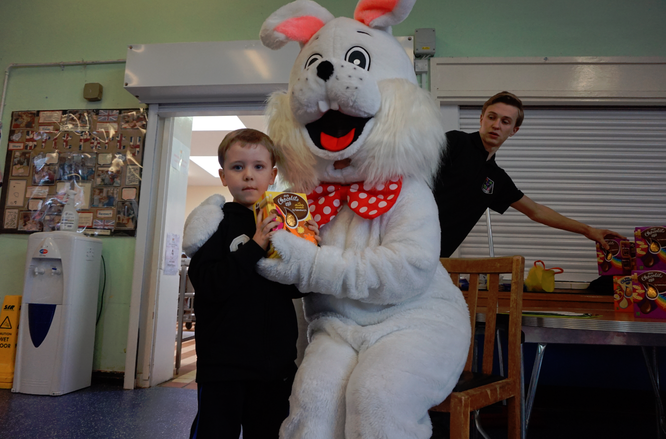 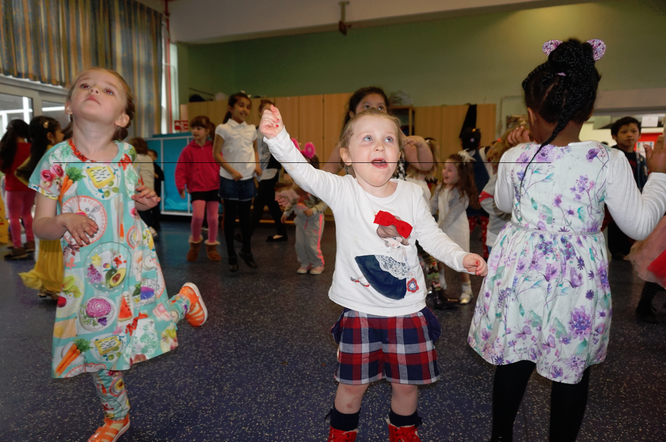 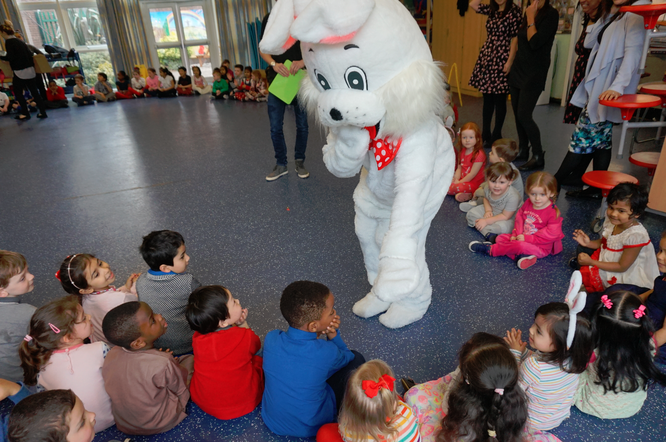 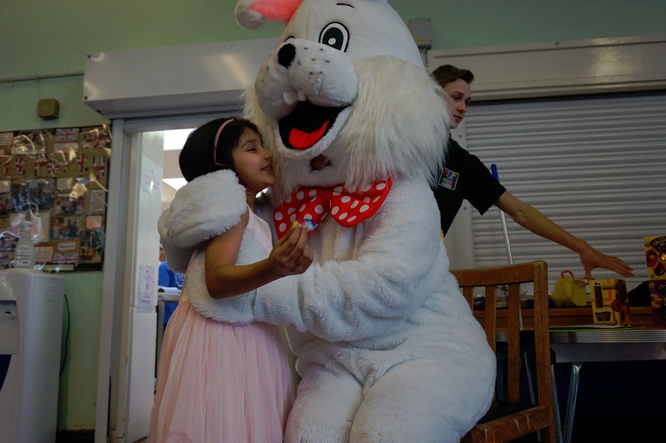 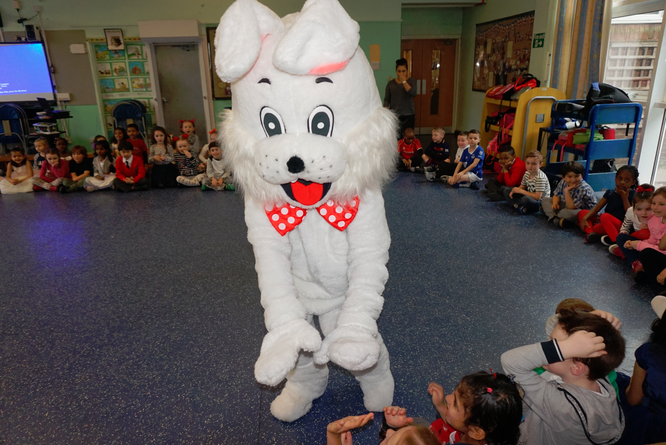 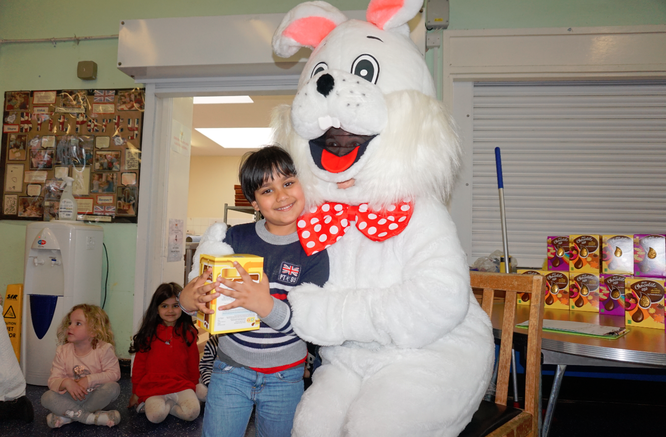 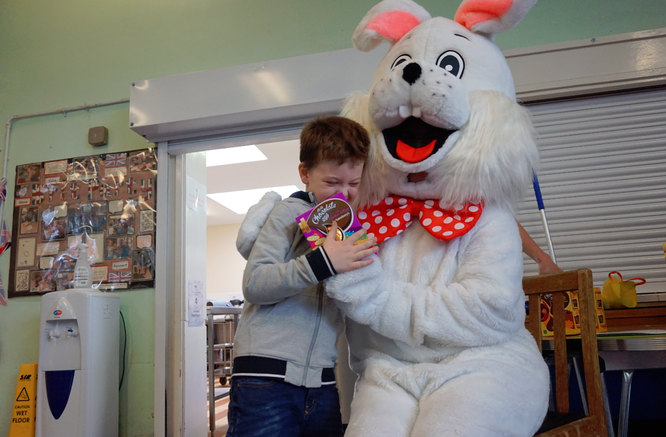 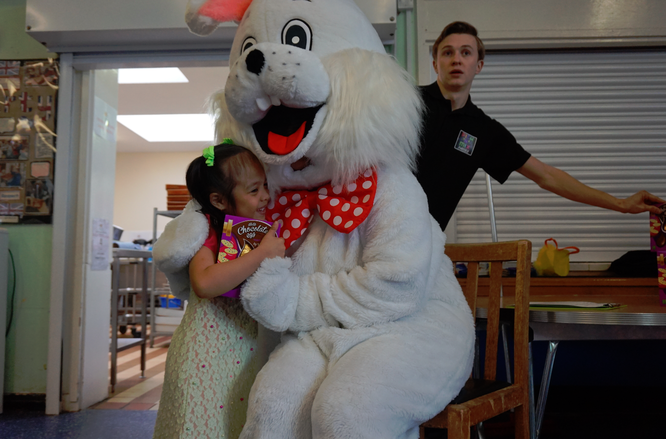 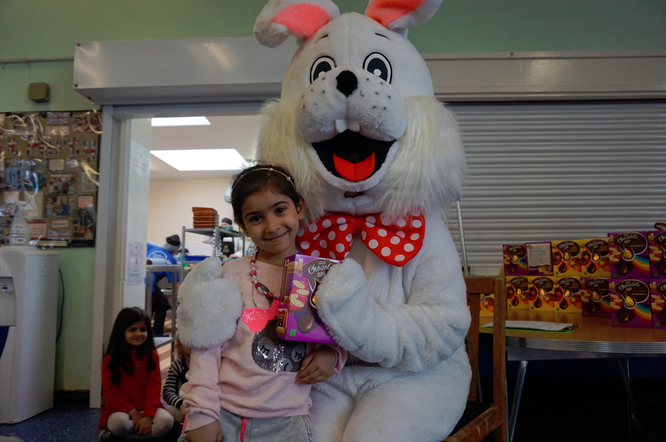 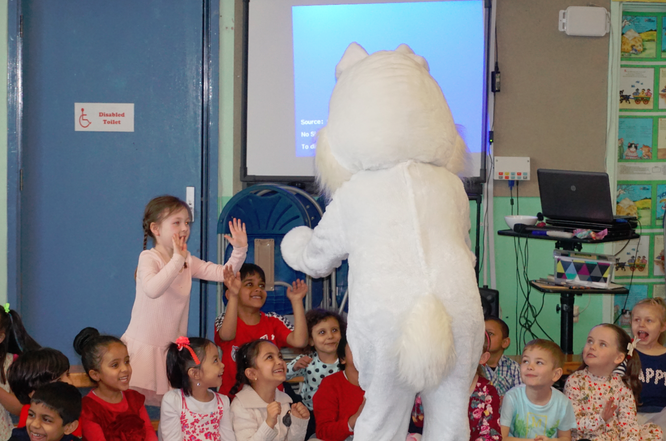 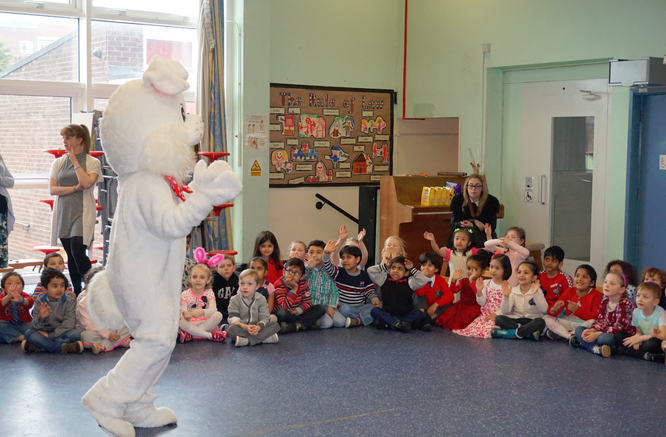 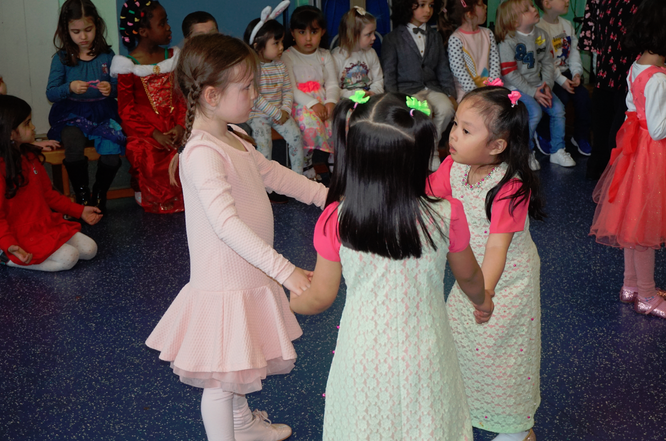 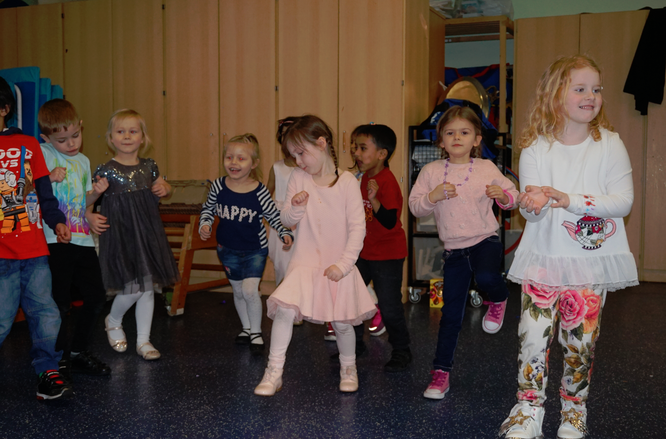 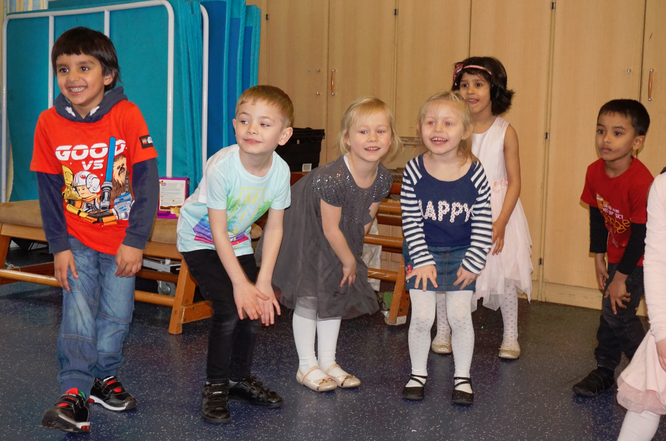 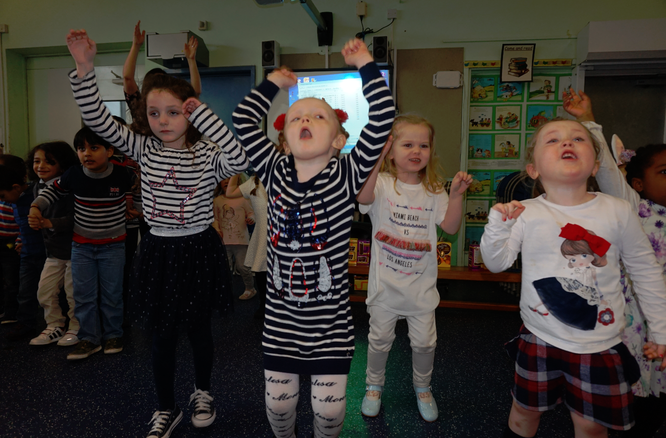 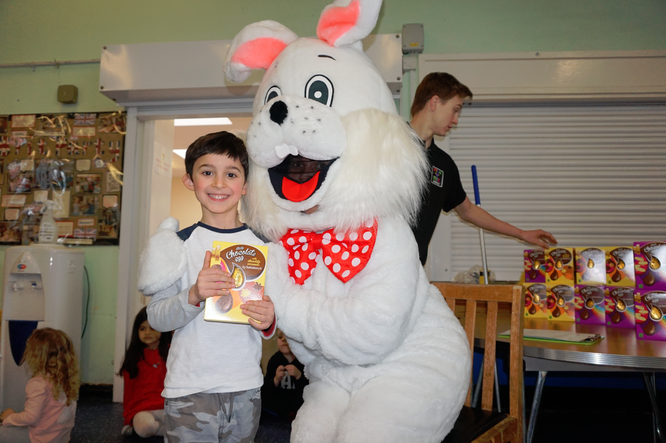 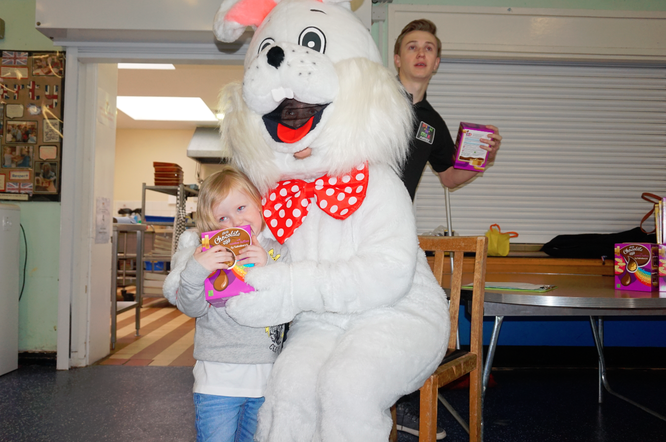 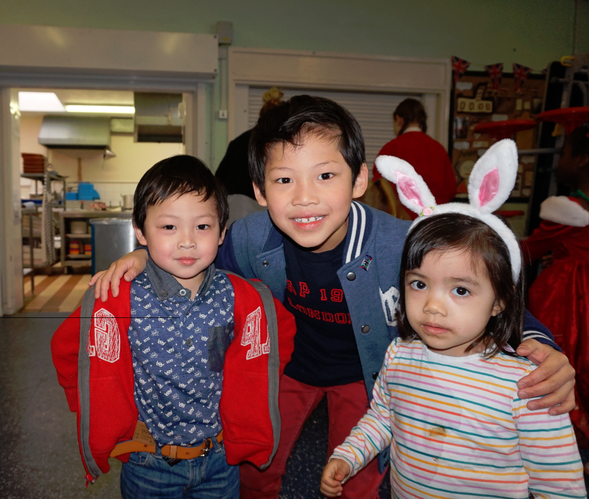 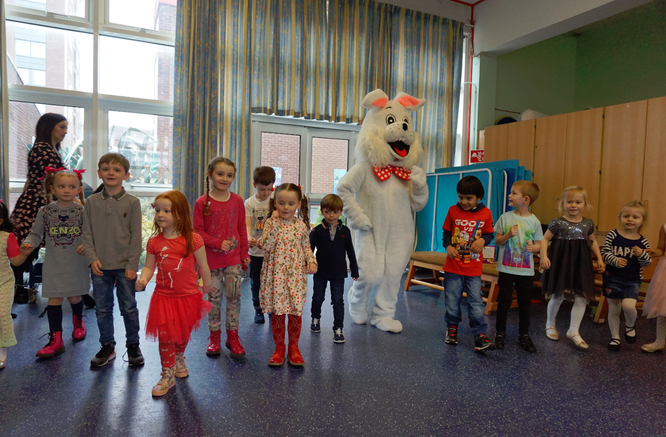 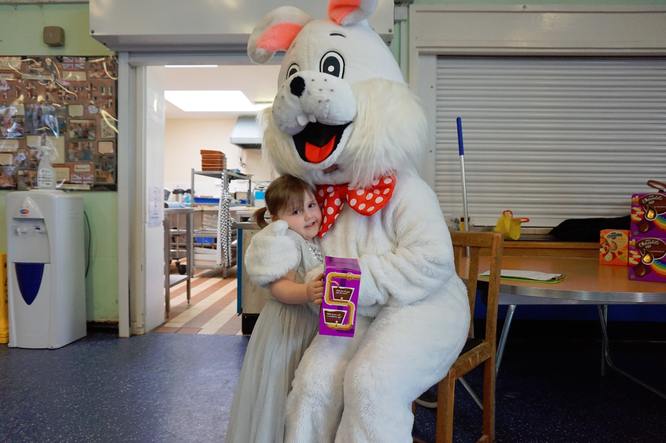 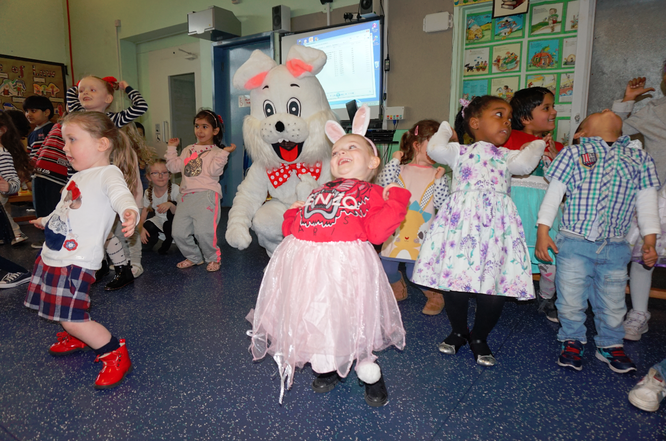 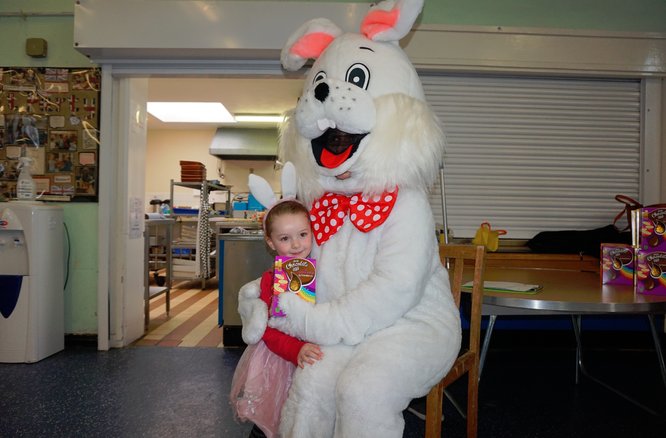 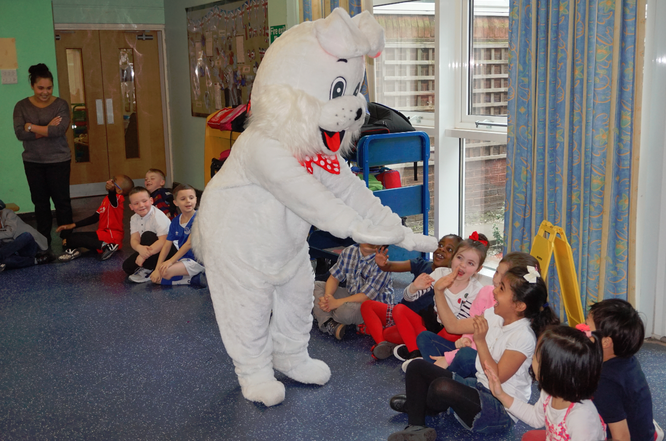 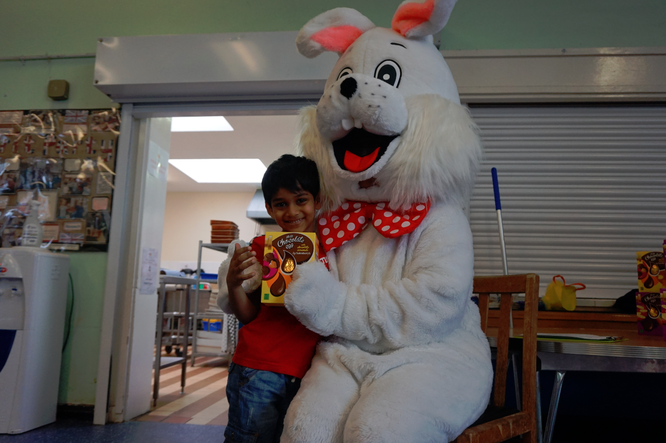 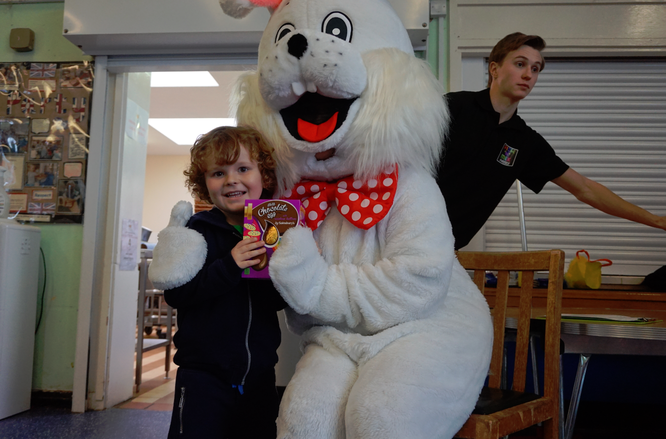 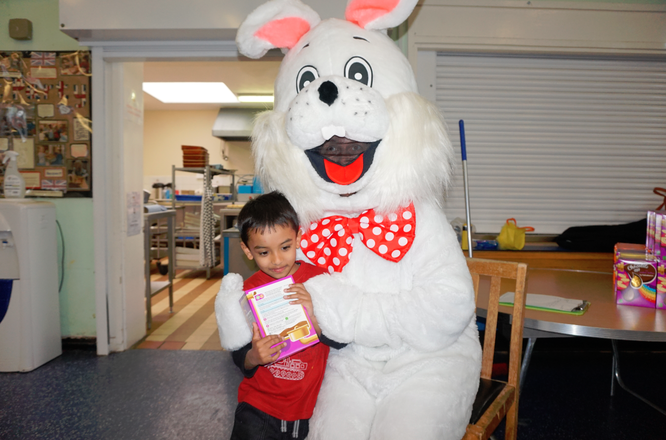 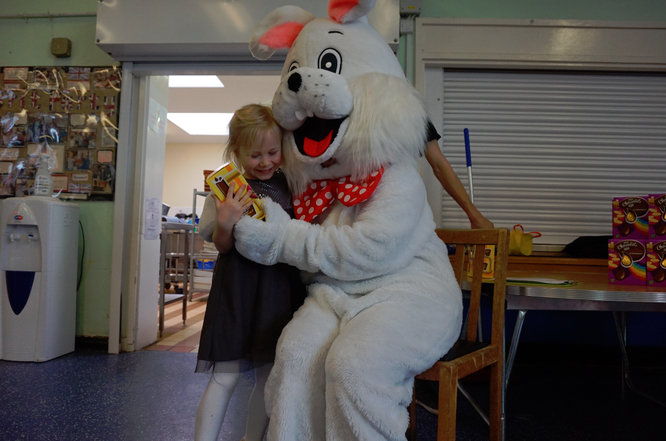 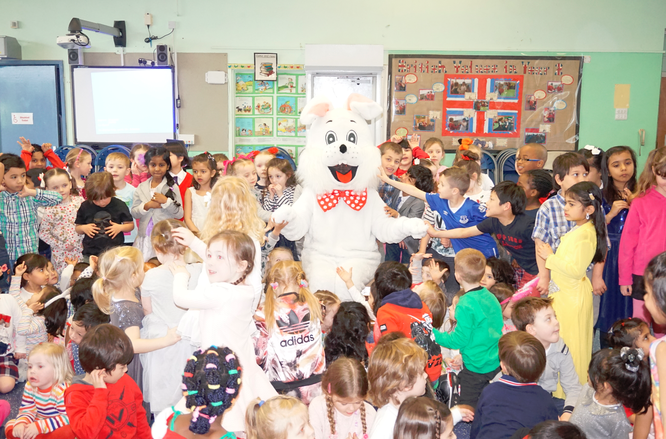 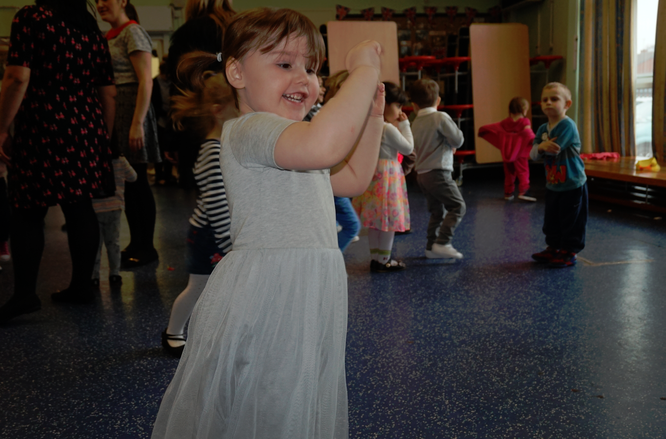 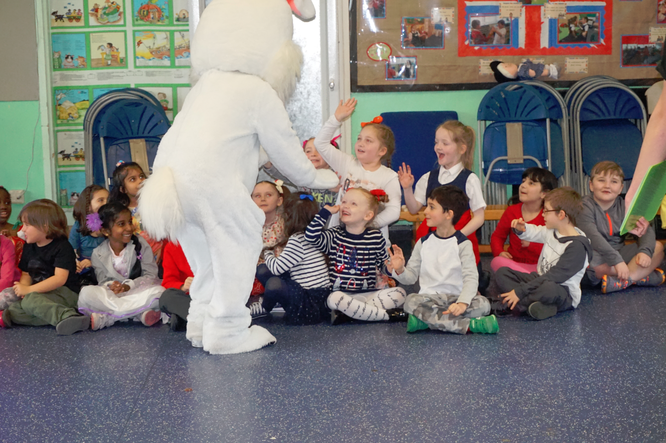 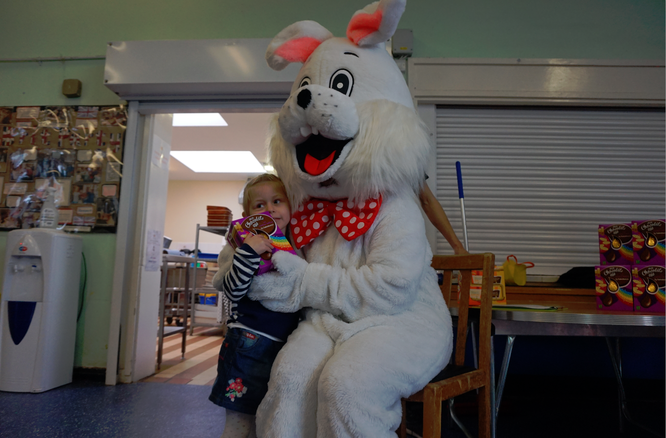 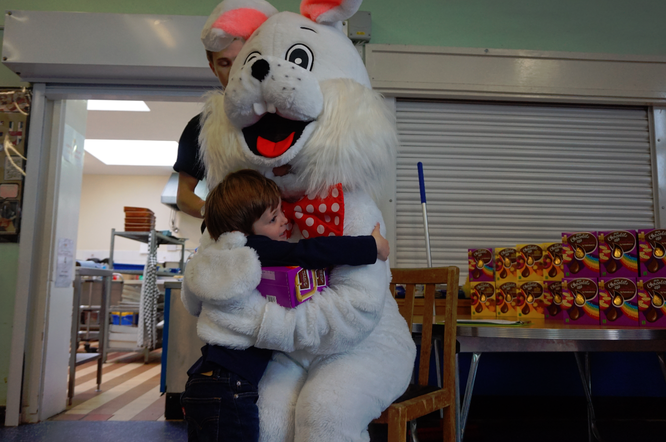 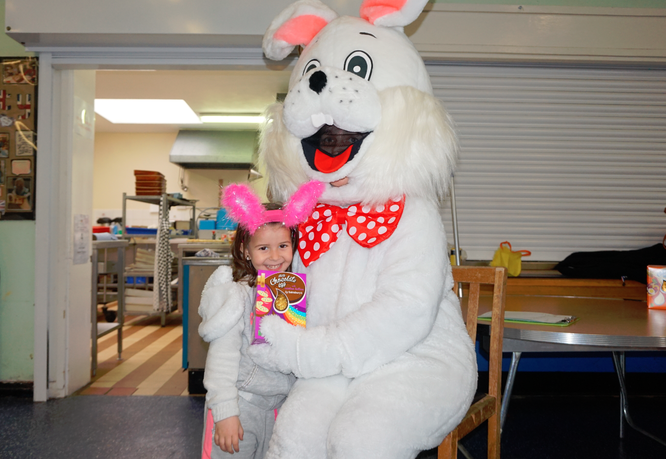 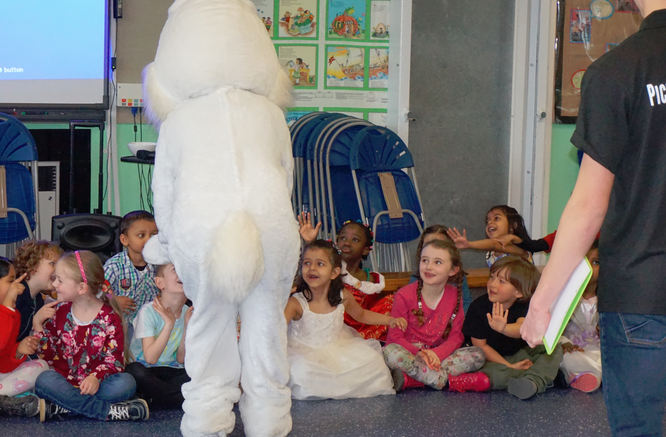 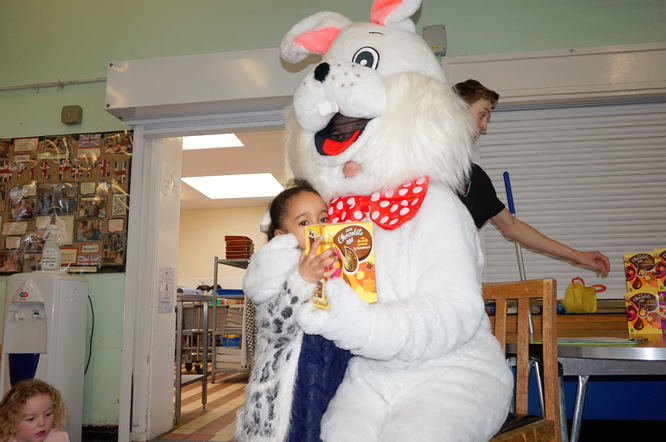 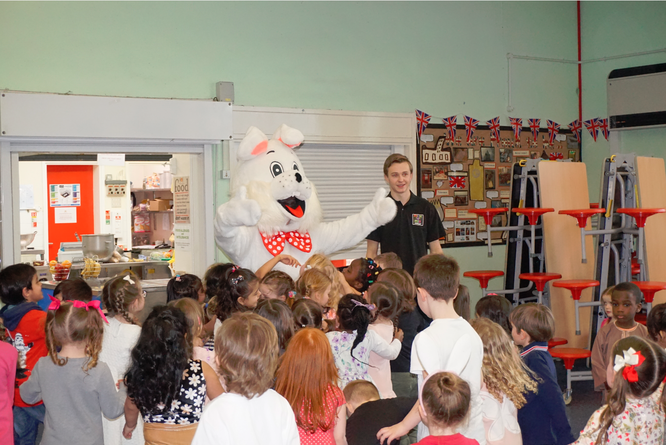 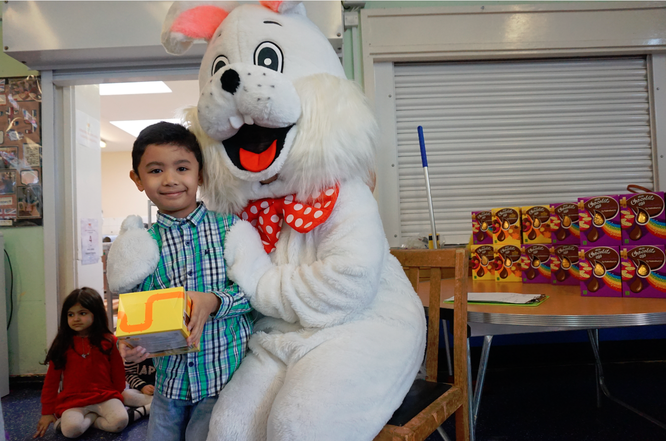 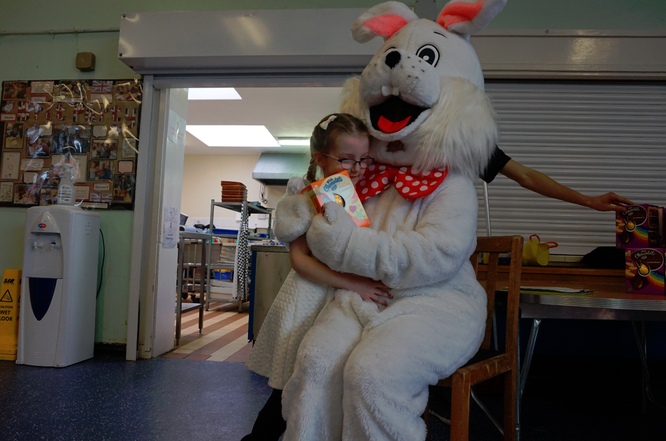 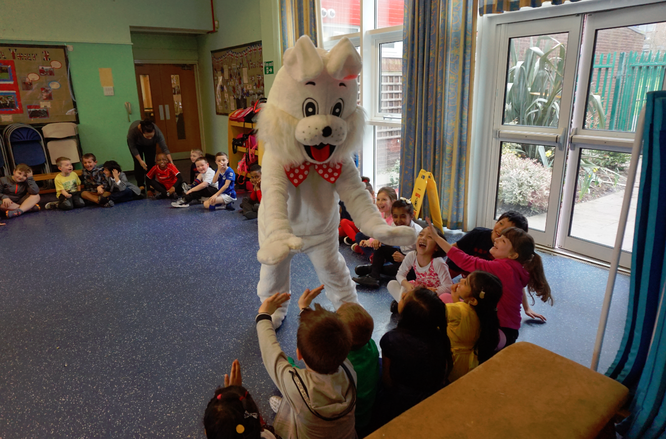 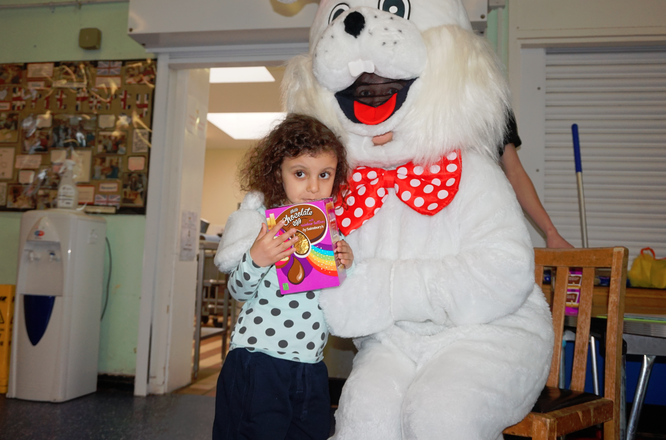 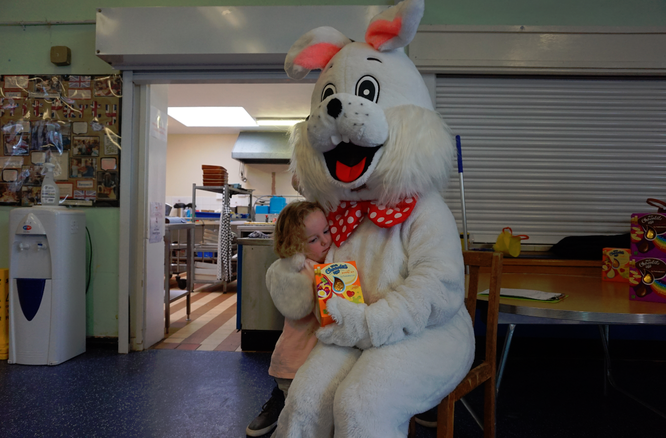 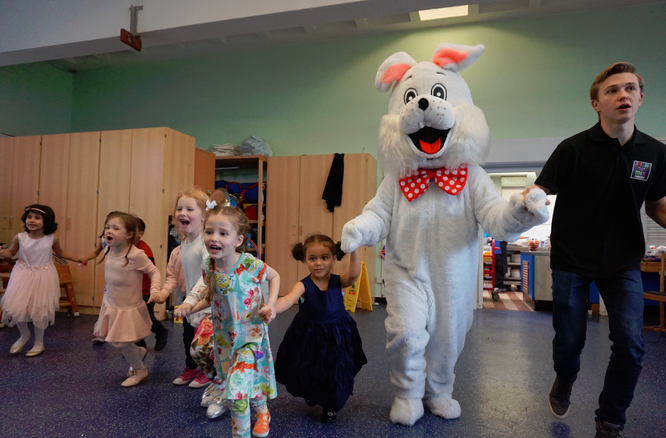 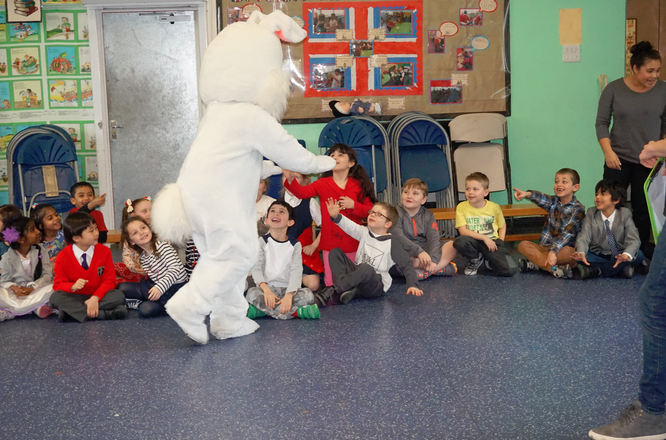 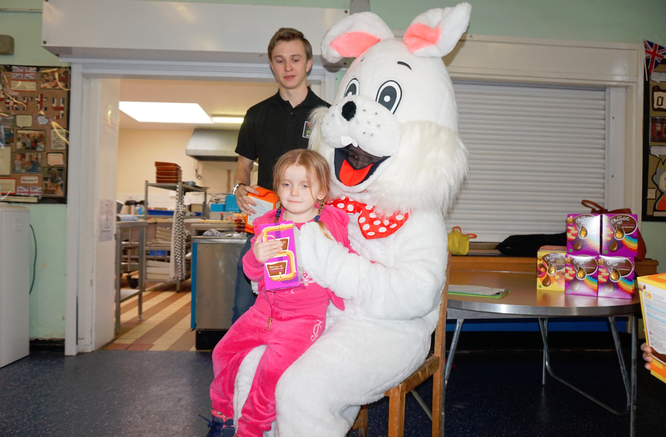 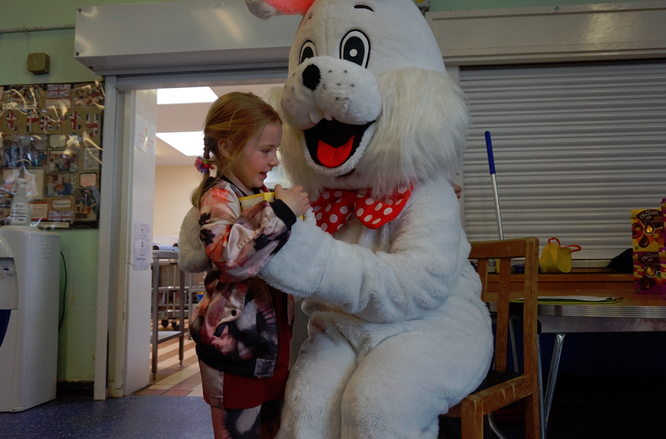 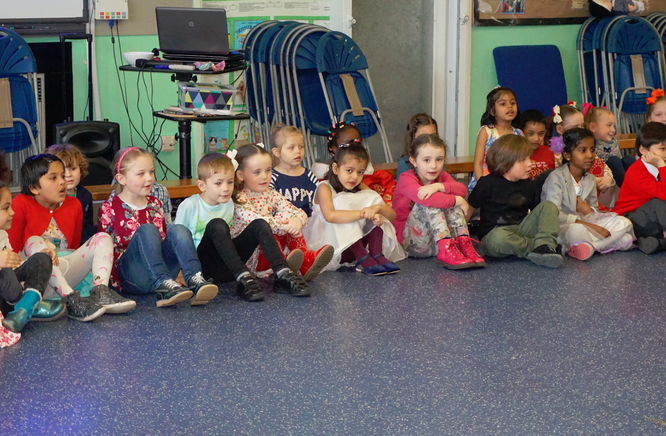 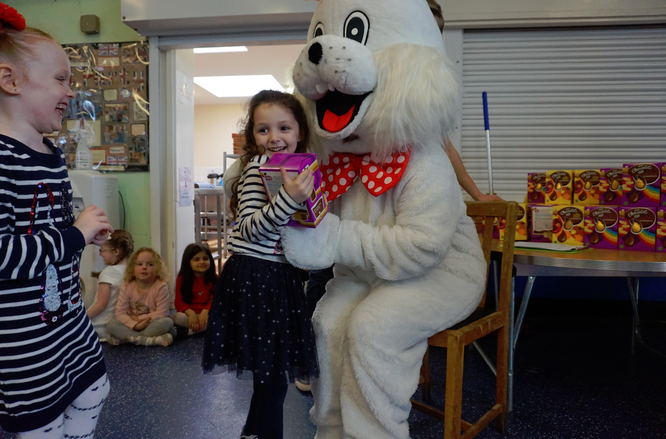 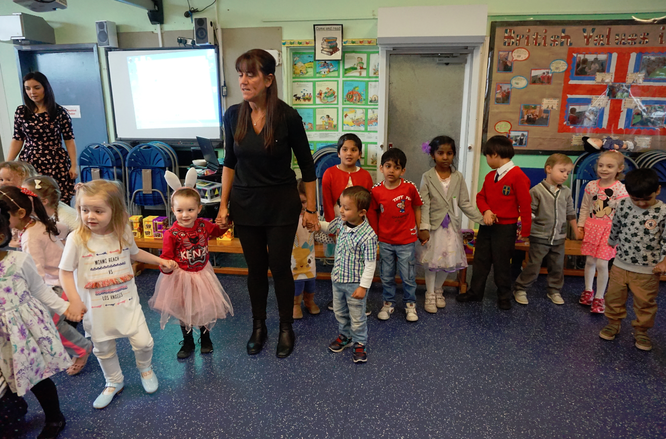 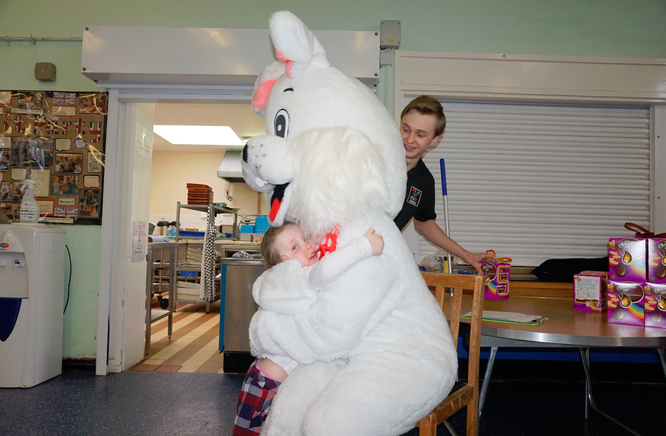 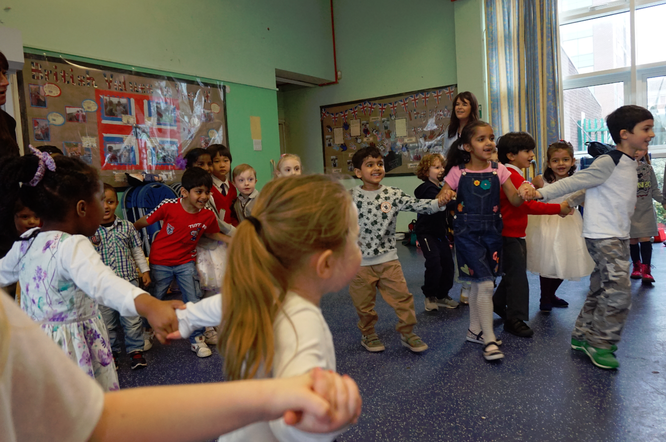 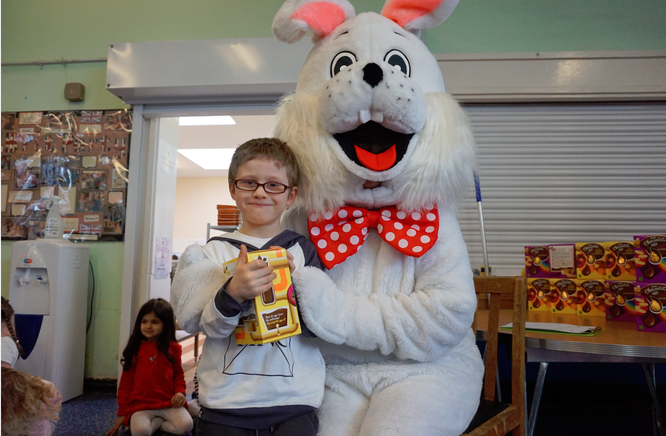 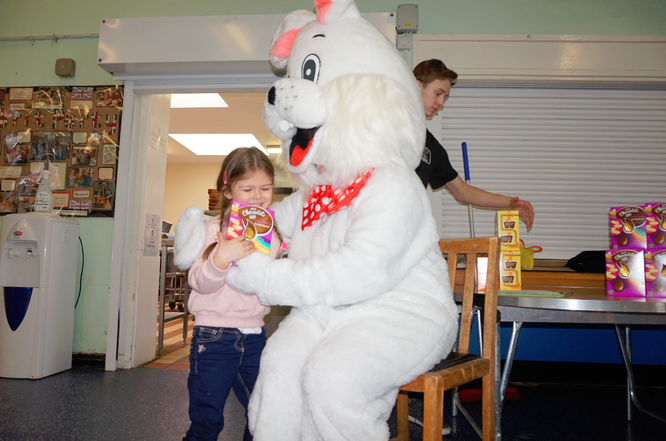 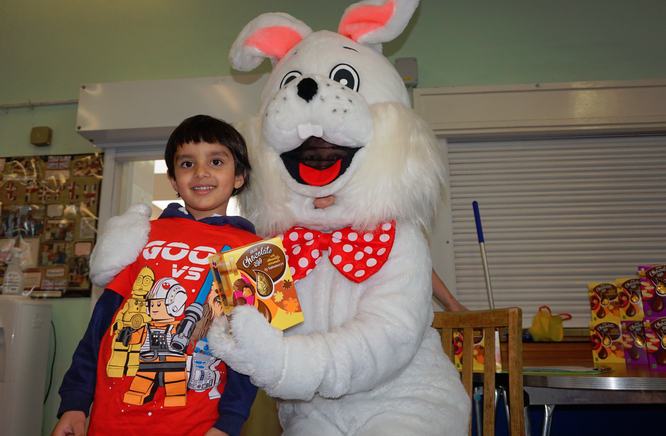 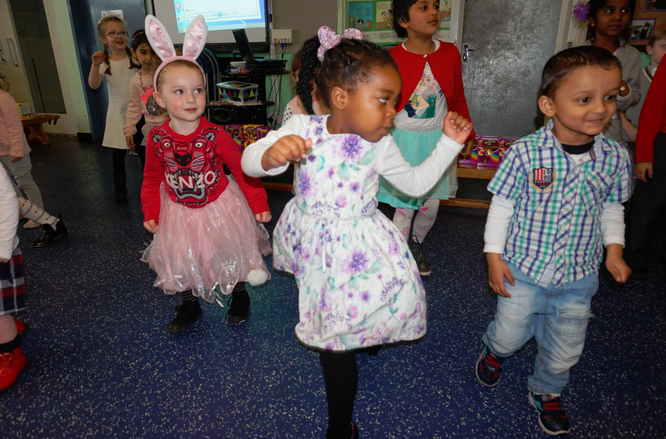 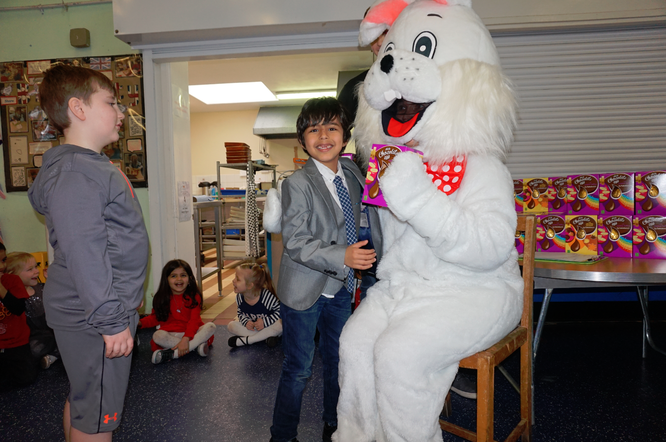 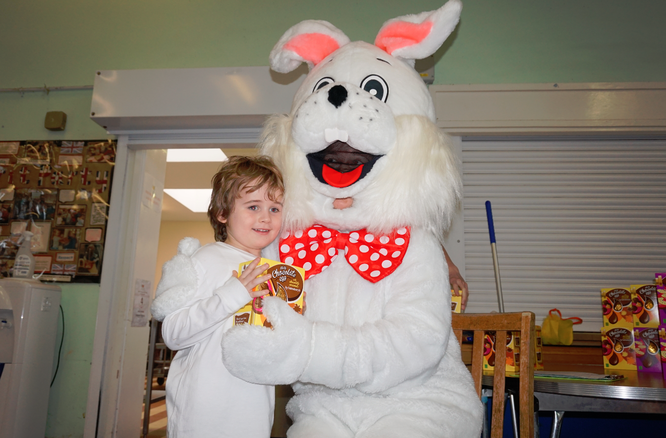 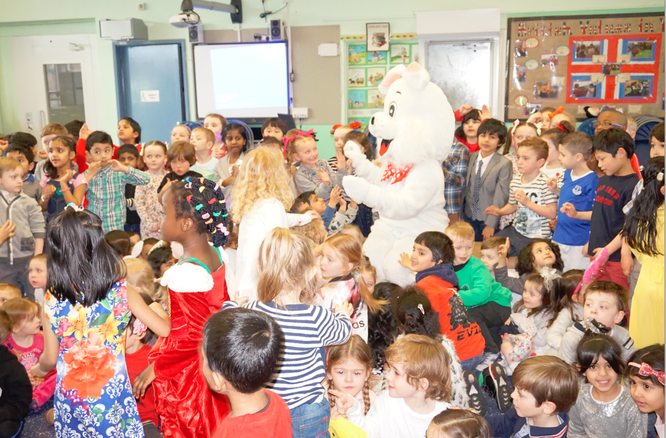 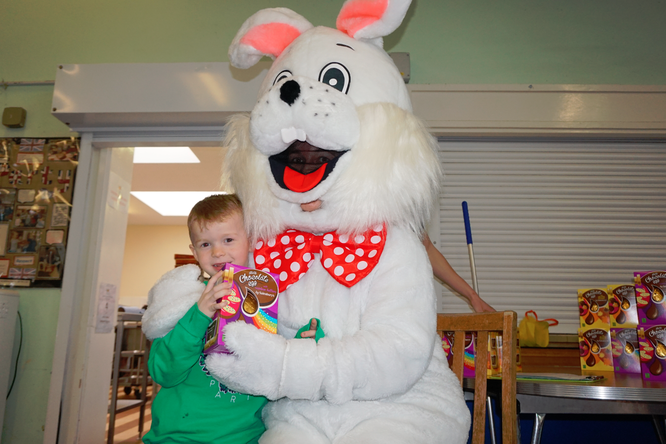 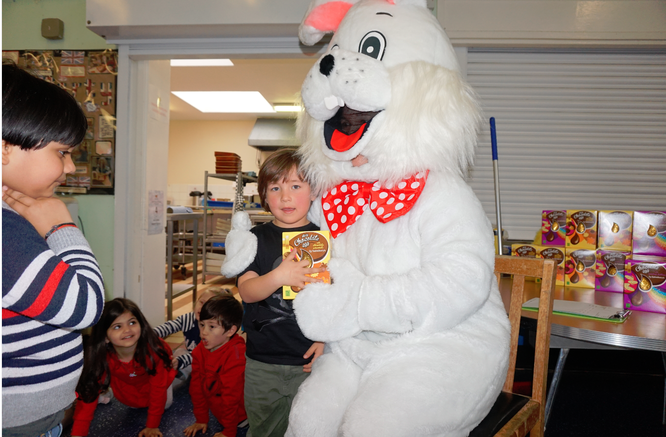 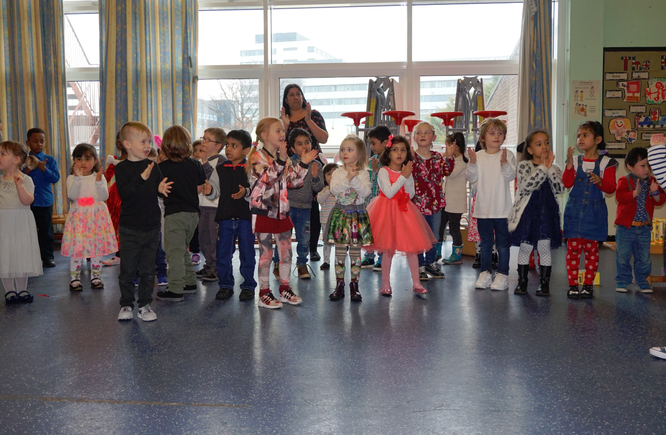 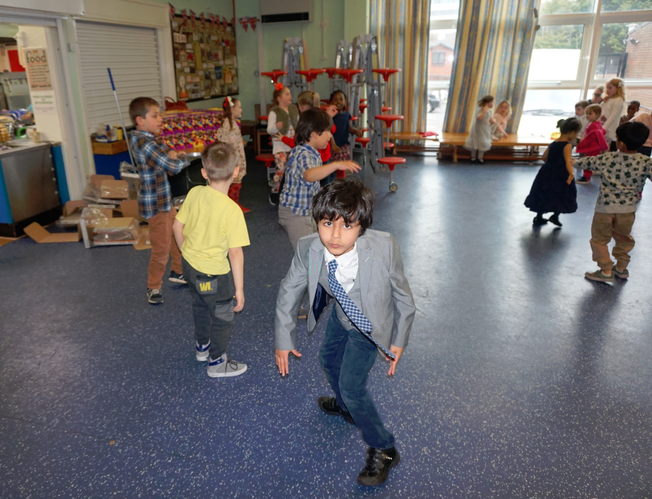 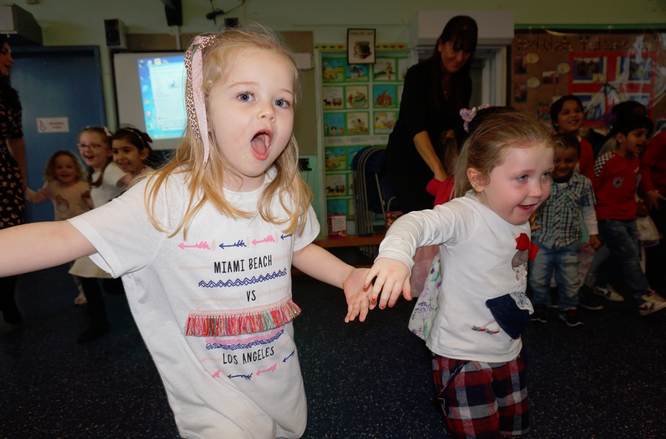 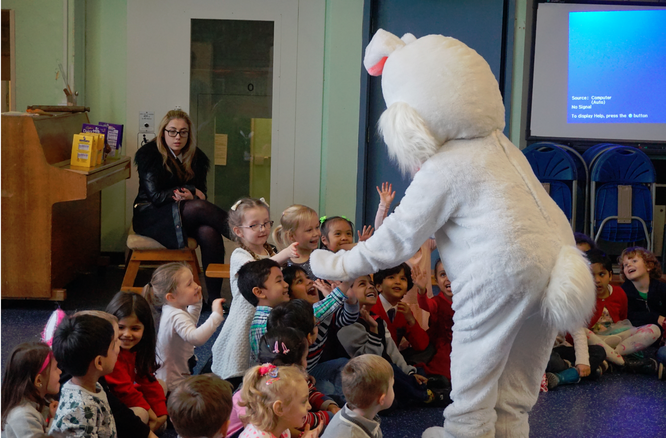 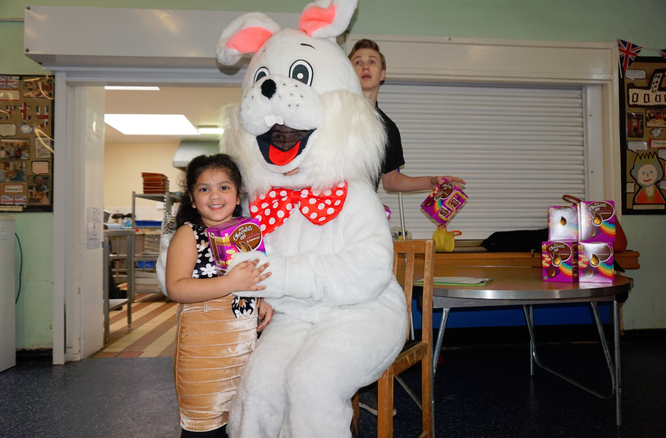 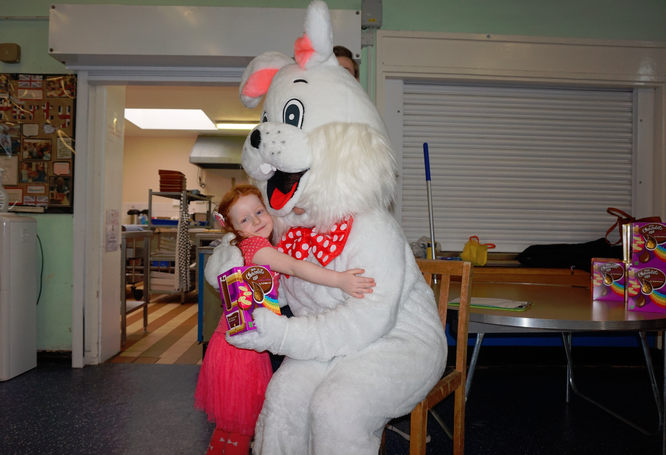 On Wednesday 23rd March Early Years and Key Stage 1 had a disco to celebrate Easter. 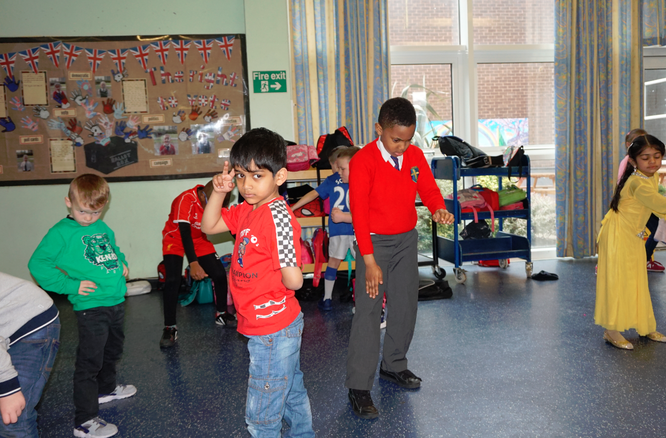 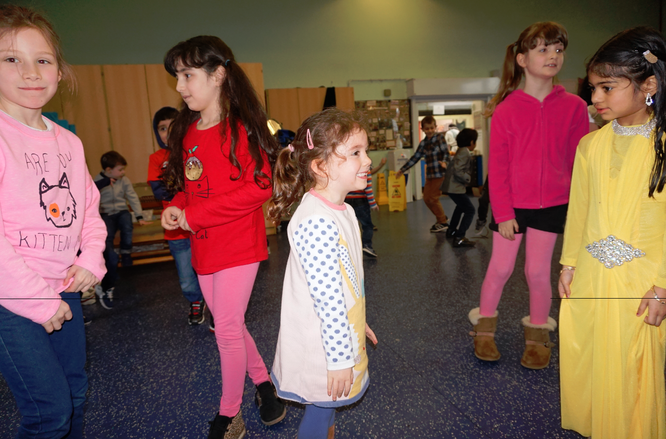 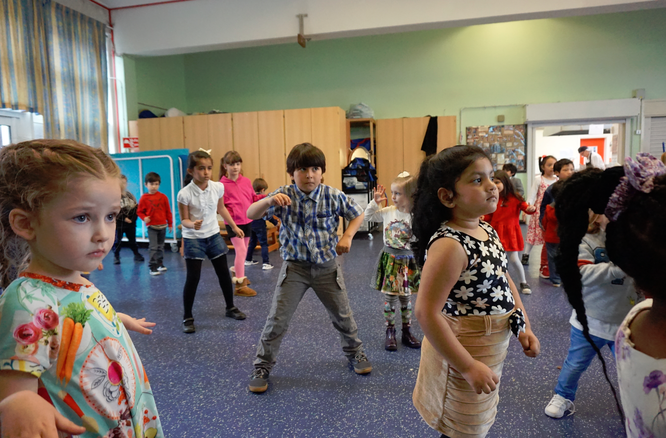 They had lots of fun dancing and playing party games such as Musical Statues. 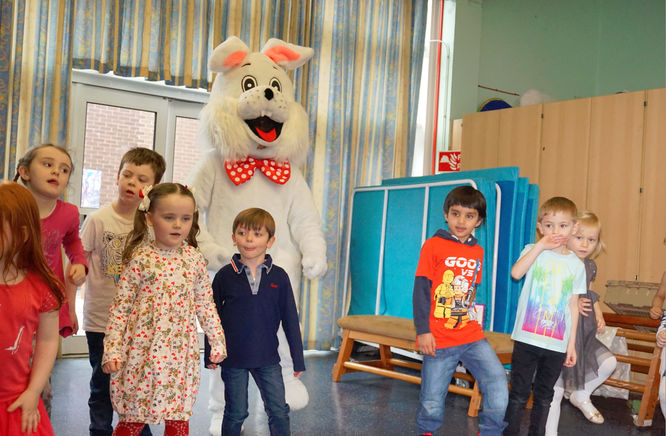 Once they were all tired from dancing a special guest arrived to give them an Easter Egg a couple of days early.